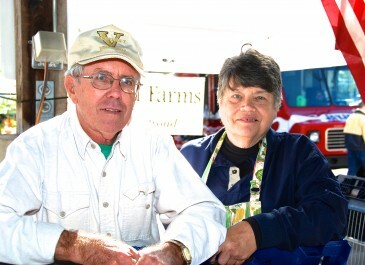 J. R. and Judy Stroud have owned Jones Mill Farm for over 40 years. 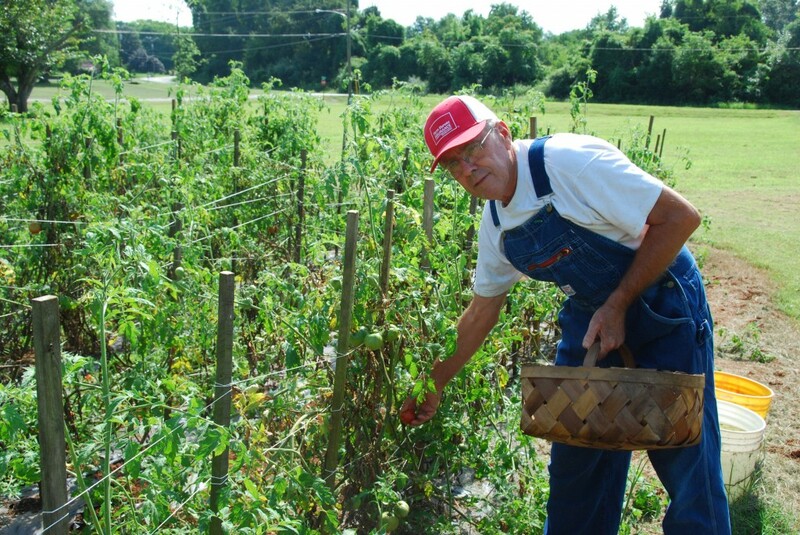 J.R. & Judy Stroud are members of Certified Natural Grown, Seed Savers, Tennessee Fruit and Vegetable Growers Association, Southern Sustainable Agriculture, Pick Tennessee, Tennessee Beekeepers Association, and Wilson County Beekeepers Association. 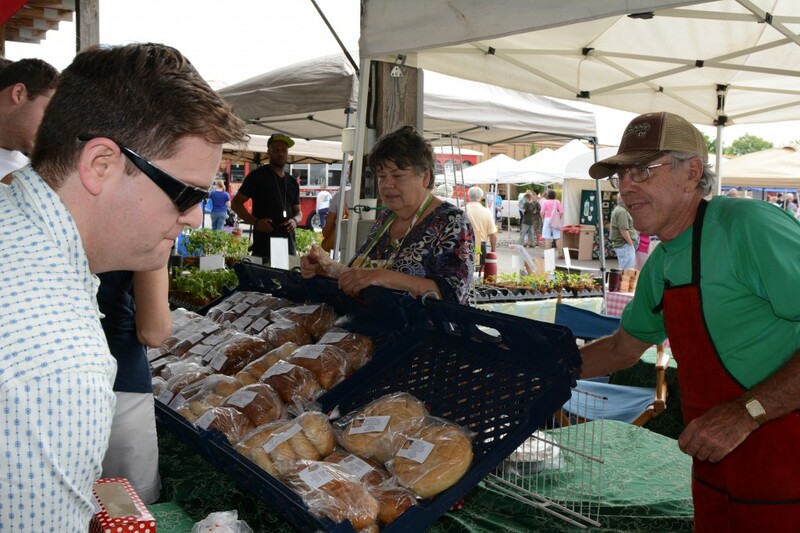 REMINDER: The Winter Market hours begin Saturday 9 AM Until NOON. We have been busy in the Kitchen putting away seasonal things we used for Christmas and New Years. 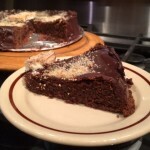 We will have Salt Rising Bread, Ezekiel Bread, Sourdough White, Sourdough 100% Whole Wheat, Blue Ribbon Banana Bread, Cracked Pepper Focaccia, Scaccia Sicilian Tomato Cheese Bread w/Pepperoni, Sweet Cheese Coffee Bread, Multi Grain, German Oatmeal, Sourdough Crackers, Italian Country, Extra Tangy Sourdough, Pizza Dough, Cinnamon Rolls, and maybe more. The Soup of the Week is Italian Cabbage Soup a Hearty Soup Favorite of the Nashville Fire Department. Our Preserves racks will be full of Fresh Jams, Preserves, Butters, and Sauerkraut. If you would like us to hold something for you please send an E Mail. We have had busy week! Hope you had a nice Christmas! We have been busy preparing things to make your New Years party something special. Black Eyed Peas are a must for New Years. We will have Black Eyed Pea Gumbo for fulfilling the New Years GOOD LUCK tradition. We will have Sourdough White, Sourdough 100% Whole Wheat, Extra Tangy Sourdough, Multi Grain, German Oatmeal, Scaccia Sicilian Tomato Cheese Bread, Sourdough Crackers w/sun dried tomatoes and Italian Herbs, Pizza Dough, Italian Country, Cracked Pepper Focaccia, Sweet Cheese Coffee Bread, Sweet Kolache cheese filling with Kelly Farms Blueberries, Banana Bread, Whip Cream Pound Cake, Cinnamon Rolls, Dinner Rolls, Gourmet Gluten Free Cornbread, and maybe more. We will have Cole Slaw made with a Treasured Recipe left to me by my dad. This was a regular in his Restaurant. Come by and get a sample. Soup of the Week Black Eyed Pea Gumbo for GOOD LUCK in 2017! Our Pimento Cheese will go good for your New Years snacks. Our Preserves Racks will be Full of lots of Preserves, Sauerkraut, Jams, and Jellies. We have had a good week! We made Austrian Lady Jam, Fruit Cakes, Rum Bars, Gentleman Jack Whiskey Balls, Cranberry Relish, Stollens, Danish Kringles, and Candies. The cold weather doesn’t seem to have hurt our strawberries. It’s time to spread the strawberries’s winter blanket to keep the ground from freezing solid around the plants. That’s top priority for next week! 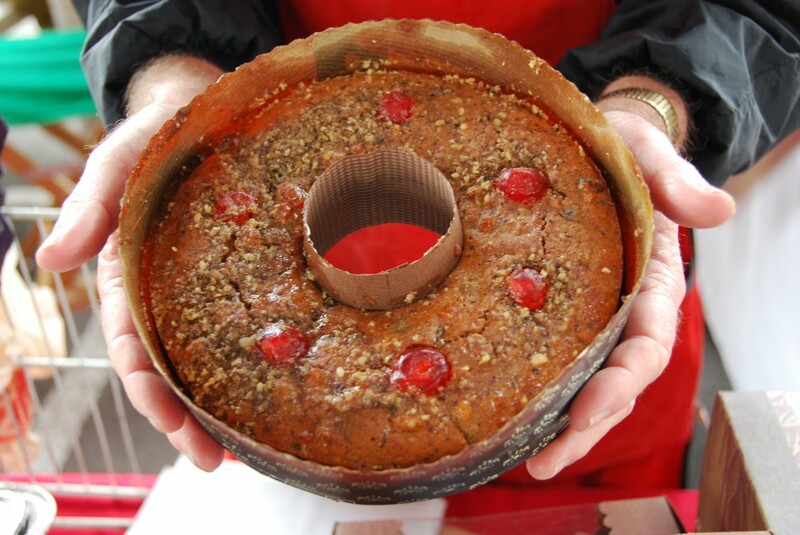 We will have lots of Christmas Goodies at the Market that are very good to eat and make excellent gifts! Our Bread Rack will be full of Salt Rising Bread, Ezekiel Bread, Sourdough White, Sourdough 100% Whole Wheat, Extra Tangy Sourdough, Cinnamon Rolls, Sourdough Croissants, Lots of Dinner Rolls, Sourdough Waffles, German Oatmeal, Italian Country, Multi Grain, Cracked Pepper Focaccia,Gourmet Marshmallows, Italian Wedding Presents, Fruit Macaroons, Gourmet Fruit Cakes, Stollens, Danish Kringles, German Chocolate Fudge, Rum Bars, Franklin High School Brownies, Blue Ribbon Banana Bread, Whip Cream Pound Cake, and maybe more. The Soup of the Week is Butternut Apple Soup. 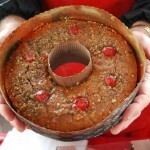 We also have a Christmas Favorite-Cranberry Relish and You Decide Gourmet Fruit Cakes. Our Jam Racks will be full of Fresh Austrian Lady Jam, Apple Butter, Blackberry Preserves, Strawberry Preserves, Sweet Potato Butter, Pepper Jelly, and more. 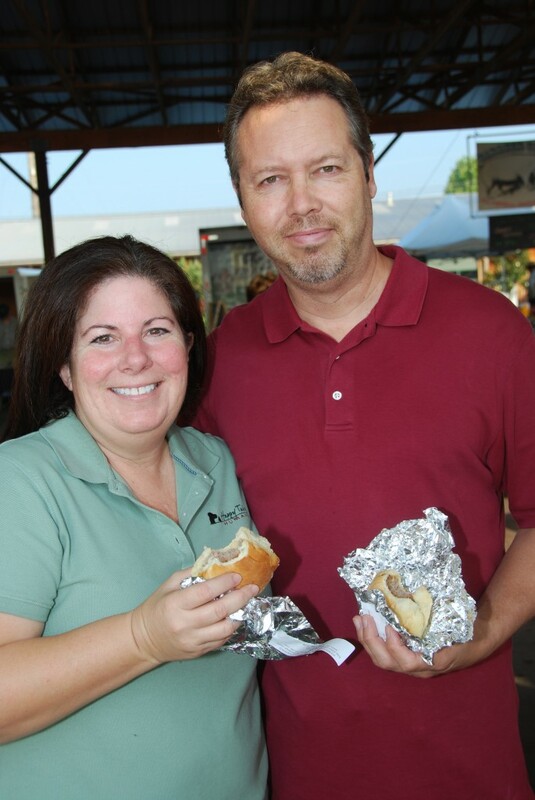 See’ya Saturday morning at the Franklin Farmers Market! It has been a busy week at Jones Mill Farms! It was too cold to work outside today so the Ole Man worked in the Kitchen. Judy was busy doing Elf work making Candy, Fruit Cakes, Cookies, Blackberry Jam Cake, Italian Cream Cake, Danish Kringles, and Stollens. We ran three ovens most of the day today. It felt Great in the Kitchen with only 2 air conditioners running it was very comfortable. There are not many days when we run three ovens simultaneously even with 3 air conditioners which we must run even on cold days. We will have lots of Christmas Baked Goods Saturday check with us early or send an Email placing an order. We will have lots again next week! THE MARKET WILL BE OPEN CHRISTMAS EVE! We will have Sourdough White, Sourdough 100% Whole Wheat, Extra Tangy Sourdough, Dinner Rolls, Multi Grain, German Oatmeal, Cinnamon Rolls, Italian Country, Blue Ribbon Banana Bread, Whip Cream Pound Cake, Fruit Macaroons, Italian Crescent Wedding Cookies, Candied Cherry Fruit Christmas Cookies, Gourmet Fruit Cakes, Gluten Free Flourless Chocolate Cakes, Danish Kringles, Stollens, Gentleman Jack Whiskey Balls, and German Chocolate Fudge, Gourmet Snowflake Marshmallows, Rum Balls, and Peppermint Bark. Our Preserve Rack will be Full of Gourmet Preserves, Jams, and Jellies. They make very nice gifts for Christmas. If you would like something special for the Christmas Eve Market pickup an order form at the Booth and tell us what you would like us to make for you. If you would like us to hold something please send an E Mail! Jones Mill Farm and Franklin Farmers Market wish you a VERY MERRY CHRISTMAS and A HAPPY & PROSPEROUS NEW YEAR! We have had a good week. We made more Fruit Cakes, lots of Fudge, and Marshmallows. The rains were very good on the Strawberries and Garlic. I drained the drip lines and winterized the Pump House today. Judy, Jessi, and Savana will be at the Market this week I will be doing the Annual Christmas Model Train Show at the Fair Grounds with Phillip Crews. We will have Salt Rising Bread, Ezekiel Bread, Sourdough White, Sourdough 100% Whole Wheat, Extra Tangy Sourdough, San Francisco Style Sourdough, Blue Ribbon Winning Banana Bread, Whip Cream Pound Cake, Fruit Macaroons, Franklin High School Brownies, Scaccia Sicilian Tomato Cheese Bread w/Pepperoni, Sourdough Waffles, Cracked Pepper Focaccia, Pumpernickel, Danish Kringles, Marshmallows, Cinnamon Rolls, Fruit Cakes, Fudge, Pizza Dough. Our Soup of the Week is French Provincial Beef Stew. Our Preserved Racks will be full of Fresh Preserves, Jams, Jellies, and Sauerkraut. I spent the morning setup at the Annual Ellington Agriculture Center Christmas Open House. It was a very enjoyable morning. We have had a very productive week at Jones Mill Farms we have been busy making festive foods for Thanksgiving and Christmas. 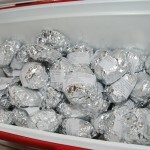 The German Stollens and Gourmet Fruit Cakes were a big hit at the Open House. We will have Salt Rising Bread, Ezekiel Bread, Sourdough White, Sourdough 100% Whole Wheat Bread, San Francisco Style Sourdough, Extra Tangy Sourdough, Blue Ribbon Banana Bread, Whip Cream Pound Cake, Walnut Babka, Italian country, Cracked Pepper Focaccia, Olive Focaccia, Pumpernickle Bread, German Oatmeal, Cinnamon Swirl Bread, Cinnamon Rolls, Fruit Macaroons, Fruit Cakes, German Stollens, Scaccia Sicilian Tomato Cheese Bread w/Pepperoni, Peppermint Bark Candy, Gentleman Jack Chocolate Candy Balls, and Pizza Dough. Our Preserves Racks will be full again this week. 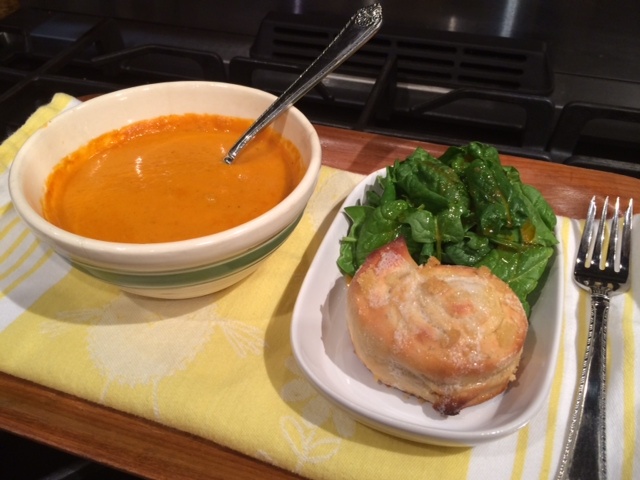 Our Soup of the Week is Yvonne Hobbs Heirloom Tomato Soup. HAPPY THANKSGIVING! 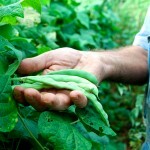 There has been a lot going on this week at Jones Mill Farms. 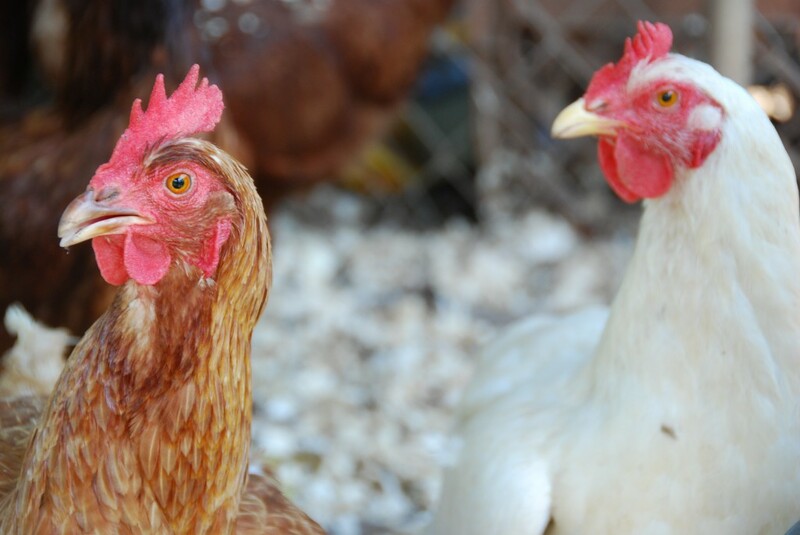 The Hawks have been after the Chickens several times this week. We have been able to scare them off so far no causalities. The Strawberries and Garlic are looking great. We have been ruining the drip lines almost constantly due to the lack of rain. 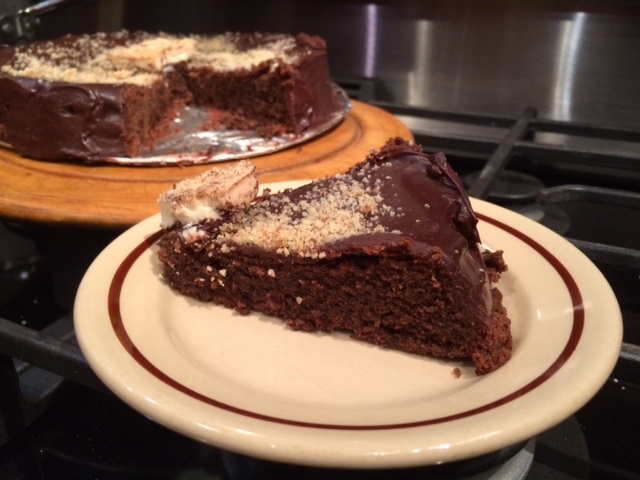 Judy made more Fruit Cakes and lots of Peppermint Bark Candy with Calbault Chocolate. 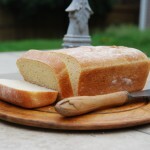 We will have Salt Rising Bread, Ezekiel Bread, Sourdough White, Sourdough 100% Whole Wheat, San Francisco Style Sourdough, Extra Tangy Sourdough, German Oatmeal, Dinner Rolls, Cinnamon Rolls, Italian Country, Scaccia Sicilian Tomato Cheese Bread w/Pepperoni, Cinnamon Rasin Bread, Banana Bread Whip Cream Pound Cake, Multi Grain, and Pizza Dough. We have a new supply of Gourmet Fruit Cakes and Peppermint Bark Candy. Our racks will be full of Fresh Jams, Preserves, Butters, and Relishes. They make Excellent Christmas Gifts. If you would us to hold something for you please send an E Mail. It has been a very busy week at Jones Mill Farm. We have been making things that will make your Thanksgiving Dinner Special. We have Fresh supply of Blackberry Chambord Sauce excellent on Pound Cake and Ice Cream. 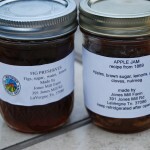 We made more Apple Butter and Pumpkin Butter after a sellout last week. 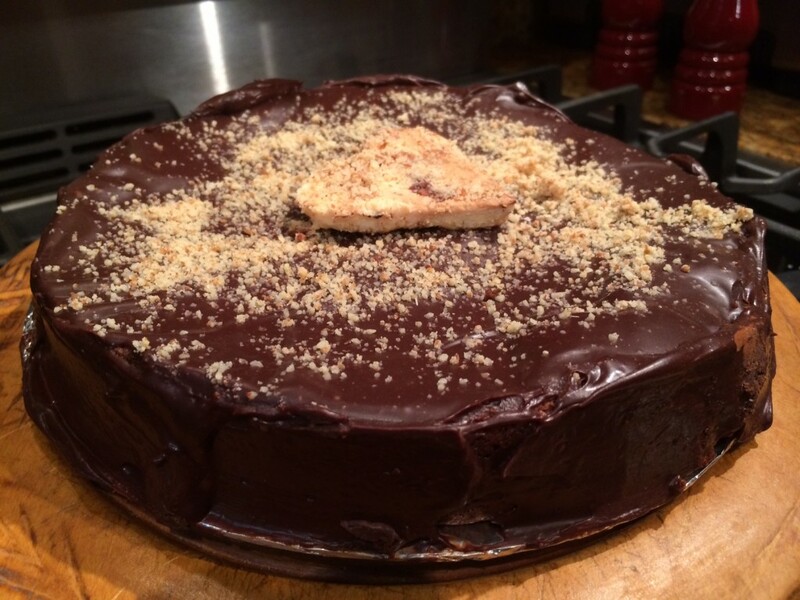 We have Flourless Gluten Free Chocolate Cakes, Fruit Cakes, Wedding Cookies, Fruit Macaroons, Cranberry Relish, Pumpkin, Pecan, Beaten Biscuits, and Sweet Potato Pies. We will have Salt Rising Bread, Ezekiel Bread, Sourdough White, Sourdough 100% Whole Wheat, Sourdough Dinner Rolls, Extra Tangy Sourdough, San Francisco Style Sourdough, Cinnamon Rolls, Beaten Biscuits, Sourdough Croissants, Whip Cream Pound Cake, Blue Ribbon Banana Bread, German Oatmeal, Multi Grain, Italian Country, Sweet Potato Biscuits, Cracked Pepper Focaccia w/Truffle Oil, and Scaccia Sicilian Tomato Cheese Bread w/Pepperoni. We will have Gluten Free Corn Bread in square pans for making Thanksgiving Dressing or Stuffing or slice in squares and eat. Pecan Pies, Sweet Potato Pies, Pumpkin Pies, Flourless Gluten Free Chocolate Cakes, Italian Wedding Cookies, Blue Ribbon Banana Bread, Whip Cream Pound Cakes, Peppermint Bark, Blackberry Chambord Sauce, Fruit Macaroons, and maybe more. Our rack will be full of Fresh made Pumpkin Butter, Sweet Potato Butter, Strawberry Preserves, Strawberry Rhubarb Preserves, Blackberry Preserves all Sweeten with Honey. We have a good supply of Fig Preserves, Apple Relish, Sauerkraut, Orange Marmalade, Hot Pepper Jelly, Cowboy Candied Pepper Jam, Seedless Blackberry Jelly, Cherry Preserves, and more. We have had busy but enjoyable week at Jones Mill Farm. I worked in the Strawberry Patch and took care of Bees getting them in good shape for the fall season. 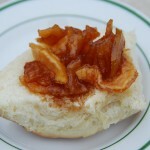 Judy made Orange Marmalade, Pumpkin Butter, and Apple Butter. 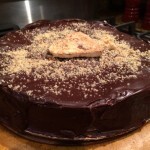 We have been working on our list of Special Cakes and Breads for Thanksgiving and Christmas. Next on the list to get done before winter is cutting out last years canes out of the Blackberries and grinding them up into Mulch. We will have Salt Rising Bread, Ezekiel Bread, Sourdough white, Sourdough 100% Whole Wheat, Extra Tangy Sourdough, San Francisco Style Sourdough, Cinnamon Rolls, Italian Country, Blue Ribbon Banana Nut Bread, Whip Cream Pound Cake, Multi Grain, German Oatmeal, Scaccia Sicilian Tomato cheese Bread w/Pepperoni, Cracked Pepper Foccacia, Sweet Potato Biscuits, Sourdough Waffles, and Pizza Dough. We have a special treat for the Franklin High School Alumni. We found a reciepe for Franklin High School Brownies in a very old Cookbook. They are very rich and tasty. We will have our Gourmet Pimento Cheese. Our Preserve Racks will be full we found 2 Cases of Strawberry Rhubarb Preserves, we have Orange Marmalade, and Apple Butter along with other tasty Fresh Jams and Preserves. They make excellent Christmas Gifts shop now for the Best Selection. The Weather has been Great! The Ole Man finished planting the rest of the Strawberries and Garlic. Judy has been busy making Pumpkin Butter and Apple Butter. We are in bad need of rain we have the drip lines running on the Strawberries. 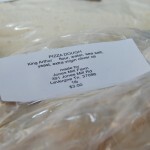 We will have Salt Rising Bread, Ezekiel Bread, Sourdough White, Sourdough 100% Whole Wheat, German Oatmeal Bread, Extra Tangy Sourdough, San Francisco Style Sourdough, Italian Country, Multi Grain, Cracked Pepper Foccacia, Sausage& Cheese Muffins, Apple Sauce Raisin Bread, Pound Cake, Banana Nut Bread, Scaccia Sicilian tomato Cheese Bread w/Pepperoni, and Pizza Dough. The Preserves Racks will be full of Fresh made Preserves, Jams, Jellies, and Butters. Excellent Christmas Gifts shop while we have a good selection. We have had a very good week at Jones Mill Farms. We completed our first Strawberry planting for the 2017 Season. 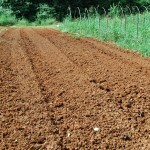 Prepared our Garlic Beds for planting next week. Judy has been busy making Pumpkin Butter from Heirloom Pumpkins traced back to American Indians. The cool weather was great for working in the Garden Boadie and I were able to stay out comfortably all day for the past two days. We will have Salt Rising Bread, Ezekiel Bread, Sourdough White, Sourdough 100% Whole Wheat, San Francisco Style Sourdough, Extra Tangy Sourdough, Multi Grain, Italian Country, Cracked Pepper Foccacia, German Oatmeal, Walnut Babka, Scaccia Sicilian Tomato Cheese Bread with Pepperoni, Sausage and Cheese Muffins, Banana Bread, Sourdough Sour Cream Struggle Bread, and maybe more. Our Preserves Rack will be full with Fresh of Fresh made Jams, Preserve, and Butters. Our news addition is Heirloom Pumpkin Butter. Our Preserve Rack is full of Excellent Christmas Gifts. We will have a large basket of Shallots. The weather has been great this week. We got our plastic laid for in the Strawberry Patch. We have had a very productive week. We put new Metro Racks in the Kitchen to make more room. Judy is happy and it looks much more organized. We found thing we have been looking for or forgotten about buying. The Ole Man has his own work area in the Kitchen now. We will have Salt Rising Bread, Ezekiel Bread, Sourdough White, Sourdough 100% Whole Wheat, Extra Tangy Sourdough, San Francisco Style Sourdough, Multi Grain, Cracked Pepper Foccaccia with black Truffle Oil, Italian Country, Banana Bread, Whip Cream Pound Cake, German Oatmeal, Sourdough Whole Wheat Waffles, and Pizza Dough. We have Vince Lombardi Beer Cheese Soup to celebrate the arrival of Autumn. Our Preserve Rack are full of Fresh Preserves, Jams, and Jellies. They make excellent Christmas Gifts shop while our supply lasts. If you would like us hold something for you please send us an E Mail. 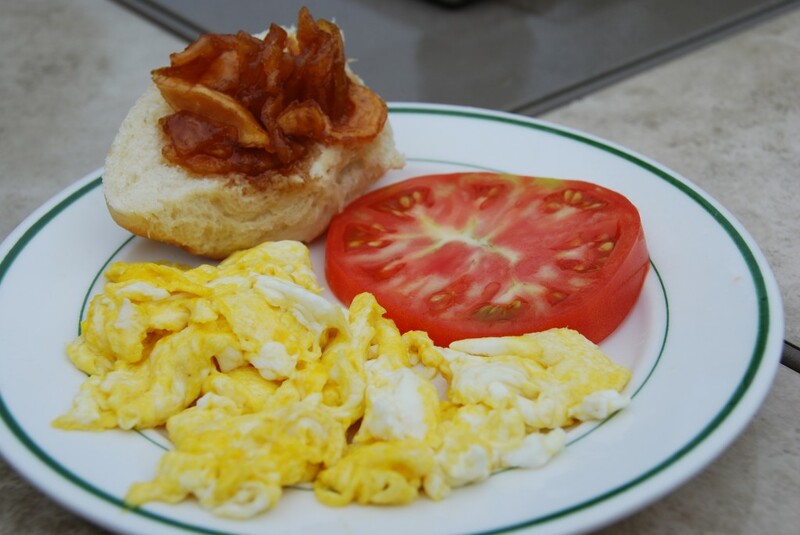 Follow Jones Mill Farm & Commercial Kitchen on Face Book and check out our Profile and Photos on the Franklin Farmers Market Web Site. We have had a very productive week at Jones Mill Farm. Our Strawberry Patch is nearly ready for the plants when they arrive. 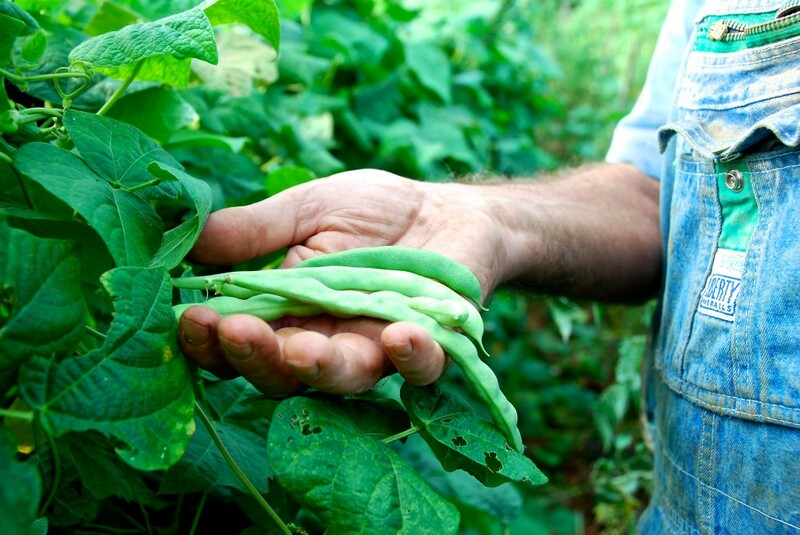 We planted Green Beans and Lima Beans for a fall harvest. We have the rest of the garden almost ready for Cover Crops. We will be planting lots of Clover for our Bees. 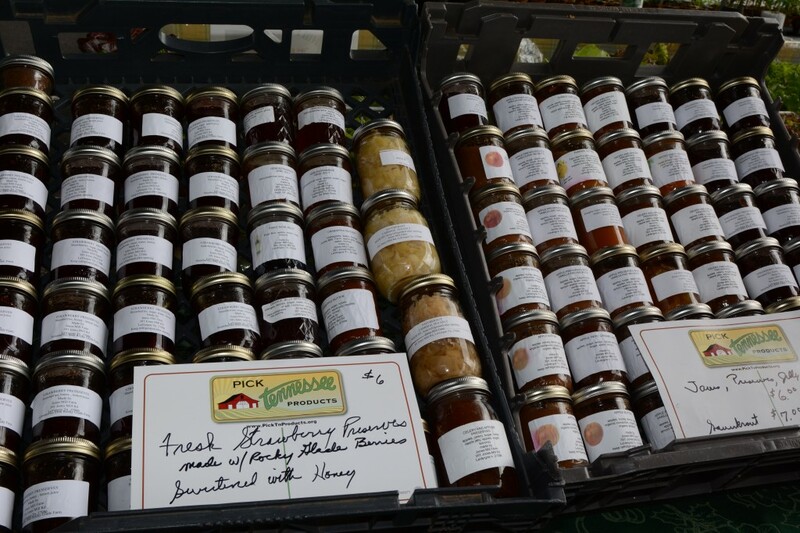 Judy has been busy making Tomato Jam, Austrian Lady Jams, Pear Preserves, and Pepper Jelly. We will have Salt Rising Bread, Ezekiel Bread, Sourdough White, Sourdough 100% Whole Wheat, Extra Tangy Sourdough, Whole Wheat Extra Tangy Sourdough, San Francisco Style Sourdough, Multi Grain, German Oatmeal, Italian Country, Cracked Pepper Foccaccia, Cinnamon Rolls, Cinnamon Swirl Bread, Scaccia Sicilian Tomato Cheese Bread w/Pepperoni, and Pizza Dough. Our Preserves Racks will be full of Fresh made Jams, Preserves, Jellies, and Sauces. Stock up for Christmas Stocking Stuffers while we have a large supply. 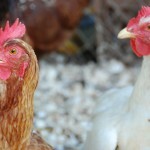 Follow Jones Mill Farms on Face Book. We have had a very productive week at Jones Mill Farms. 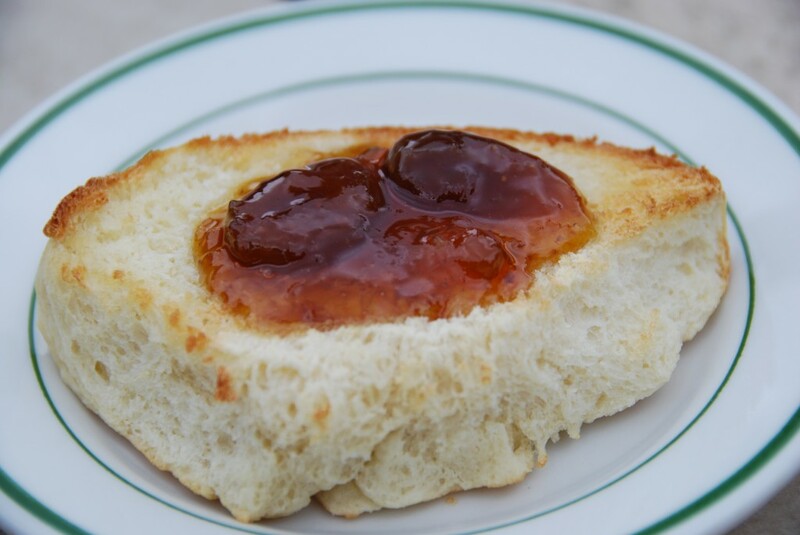 Judy has been busy making Apple Butter, Austrian Lady Jam, Savory Tomato Jam, and Pepper Jelly. 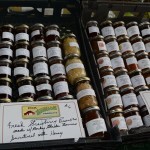 We have a wide selection of Pepper Jellies, Preserves, and Jams. The Ole Man has been busy getting the Strawberry Patch ready for planting next week. We will have Salt rising Bread, Ezekiel Bread, Sourdough White, Sourdough 100% Whole Wheat, San Francisco Style Sourdough, Extra Tangy Sourdough, German Oatmeal, Pan Co Senti, Orange Cookies, Multi Grain, Foccacia, Sourdough Sour Cream Coffee Cake, Pound Cake, Judy’s Blue Ribbon Banana Nut Bread, Scisi Pizza Bread, Whip Cream Pound Cake, and Pizza Dough. The Garden has given us some nice small tender Okara. We have had a very good week at Jones Mill Farms. 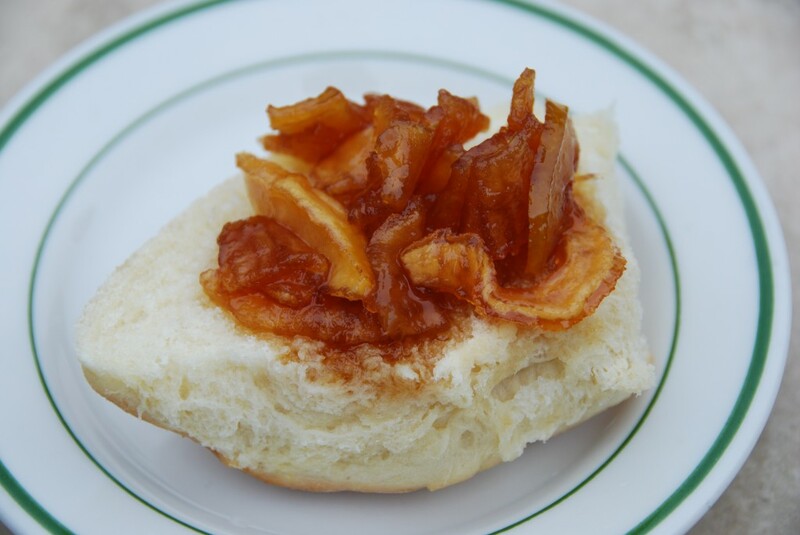 Judy made Apple Butter sweetened with Honey, Pepper Jams, and Austrian Lady Jams from fresh Gala Apples. The Ole Man cleaned up part of the garden getting ready for the Strawberry Plants scheduled to arrive the second week in September. We have been smoking pepper to make our pepper seasoning. The change in the weather today was much appreciated. We will have Salt rising Bread, Ezekiel Bread, Sourdough White, Sourdough 100% Whole Wheat, Extra Tangy Sourdough, San Francisco Style Sourdough, Cinnamon Rolls, Multi Grain, German Oatmeal, Italian Country, Sourdough Crackers, Whip Cream Pound Cake, Sourdough Sour Cream Coffee Cake, Cracked Pepper Foccacia, Gluten Free Cornbread, Gluten Free Muffins, Banana Nut Bread, and Pizza Dough. Our Preserves Racks will be full with new additions as well as the Blackberry, Strawberry, Peach, and Pear Preserves. Stock up now while they are available for Christmas Stocking Stuffers. We will have a few Candy Onions and Shallots. 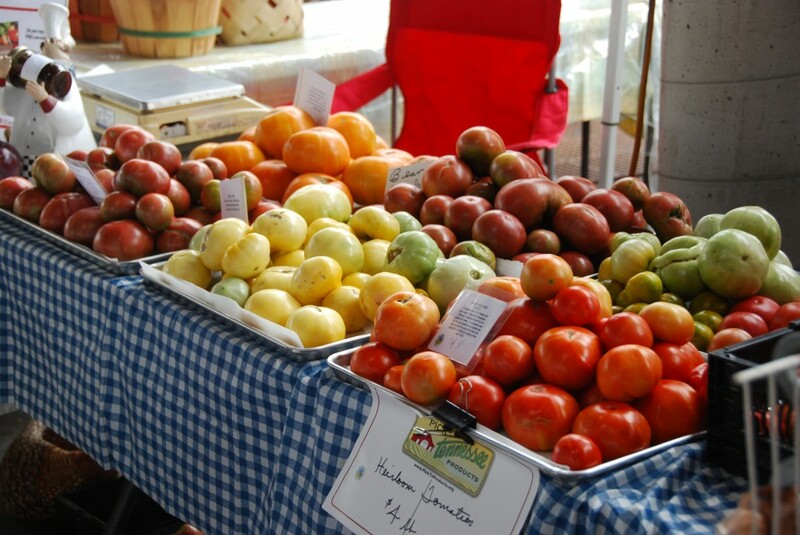 Follow Jones mill Farm on Face Book at check out the Farmers Market Web Site excellent photos of the Watermelon Festival and the Market Offerings. We have been very busy this week making Ammaratto Almond Pears, Pear Preserves, Cranberry Pear Preserves, Brandied Pears, and Austrian Lady’s Sister Pear Jam. We will have Salt Rising Bread, Ezekiel Bread, Sourdough White, Sourdough 100% Whole Wheat, Extra Tangy Sourdough, San Francisco Style Sourdough, Multi Grain, Cracked Pepper Focaccia, German Oatmeal, Italian Country, Scisi Pizza Bread, Cinnamon Bread, Blue Ribbon Winning Banana Nut Bread, Whip Cream Pound Cake, and Pizza Dough. 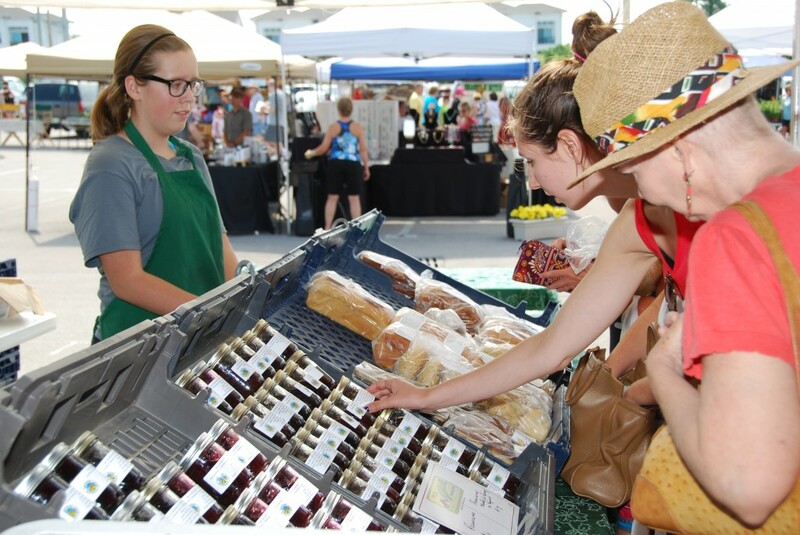 Our Preserves Rack will be full of Fresh Made Preserves, Jams, Jellies, and Brandied Fruits. We will have Candy Onions and Shallots. We have had a very productive week at Jones Mill Farms. The Ole Man finished digging a Bumper Crop of Potatoes and harvested the rest of our Shallots and Candy Onions. Judy has been busy making Austrian Lady Jam, Cowboy Candy, and Cranberry Pare Preserves. Congratulations to Judy! She won First Place in the Sweet Bread Catagory at the Williamson County Fair with her Blue Ribbon Banana Nut Bread. and Second Place in the Miscellaneous Breads with her Red Ribbon Salt Rising Bread. She will be entering several things in the State Fair. We will have Salt Rising Bread, Ezekiel Bread, Sourdough White, Sourdough 100% Whole Wheat Bread, Cinnamon Bread, Extra Tangy Sourdough, San Francisco Style Sourdough, Blue Ribbon Banana Nut Bread, Italian country, Ciabatta, Whip Cream Pound Cake, Cracked Pepper Foccacia, German Oatmeal Bread, Multi Grain, Pan De Senli, Sourdough Sour Cream coffee Cake, and Pizza Dough. 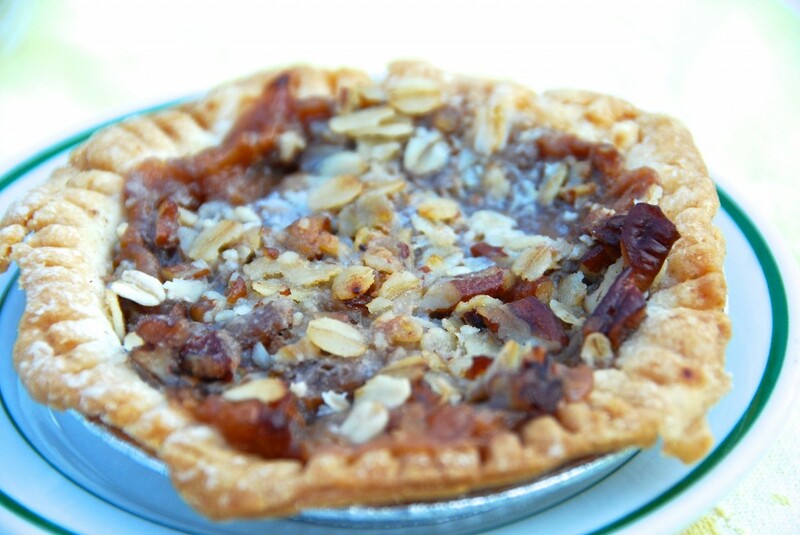 Judy will be making Fresh Peach Pies and Sweet Potato Bourbon Pies tomorrow. Our Preserve Racks will be full of Fresh made Austrian Lady Jam and a wide selection of other fresh Preserves, Relishes, and Jams. We will have lots of Candy Onions and Shallots. We have been very busy this week at Jones Mill Farm. We try to find something new to make each week for our Customers to try and enjoy along with our regular offerings. 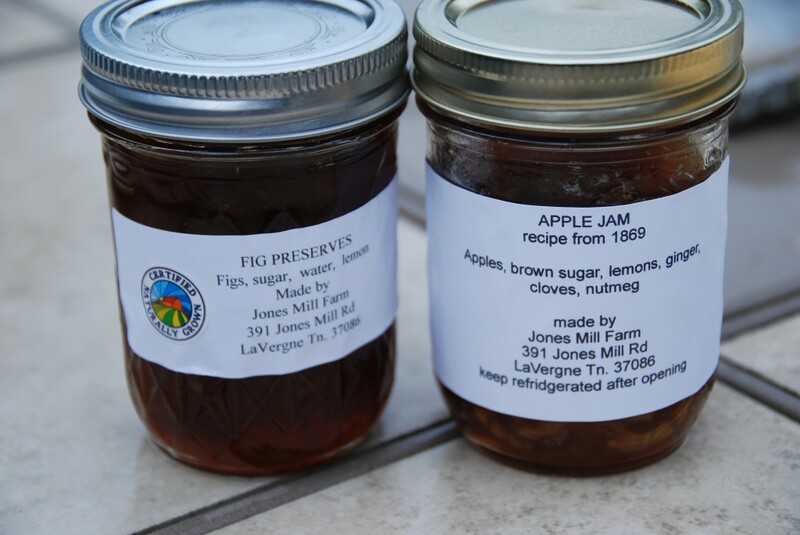 This week Judy has made two varieties of Fig Preserves both taste great! She also made Grape Jam which is very tasty. We will have Salt Rising Bread, Ezekiel Bread, Sourdough White, Sourdough 100% Whole Wheat, Multi Grain, San Francisco Style Sourdough, Extra Tangy Sourdough, Pan Ce Senti, Sourdough Crackers, German Oatmeal, Banana Nut Bread Judy’s Banana Nut Bread Won First Place at the Williamson County Fair, Cracked Pepper Focaccia with Black Tr4uffle Oil, Sourdough Sour Cream Coffee Cake, and Pizza Dough. Our Preserves Rack will be full of freshly made Preserves, Jams, and Brandied Cherries. 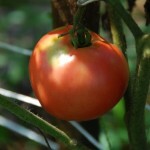 The Garden has given us some nice Great White Heirloom tomatoes and Brandy Wine Heirlooms. We have had a very good week at Jones Mill Farms. 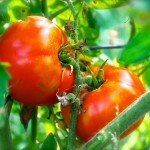 Our Tomatoes continue to do well in the heat. 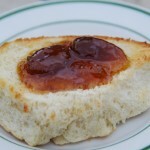 Judy has made our first batch of Austrian Lady Jam and made more Tomato Jam. 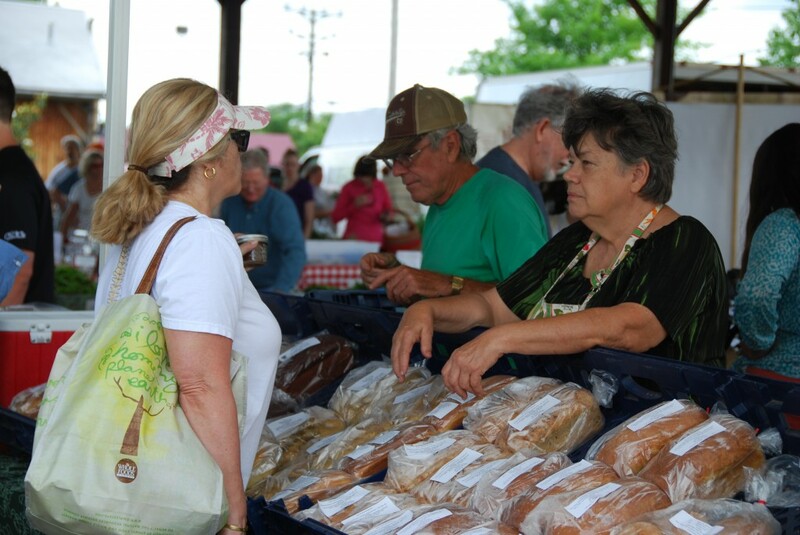 Judy has entered our Ezekiel Bread, Salt Rising Bread, Banana Nut Bread, and Whip Cream Pound Cake in the Williamson County Fair. 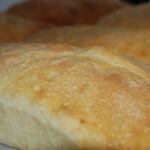 We will have Salt Rising Bread, Ezekiel Bread, Sourdough White, Sourdough 100% Whole Wheat, San Francisco Style Sourdough, Multi Grain, Banana Nut Bread, Whip Cream Pound Cake, Cracked Pepper Focaccia, Italian Country, German Oatmeal, Cinnamon Rolls, Sourdough Crackers, Pan Ce Senti, Lemon Cookies, and Pizza Dough. 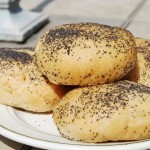 We have a good supply of our Famous Smoked Pepper Seasoning. 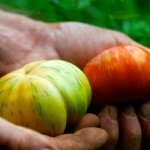 The Garden has given us lots of nice Heirloom Tomatoes which we will be sampling at the Market. We have Candy Onions, Shallots, and Garlic. Our Preserves Rack will be full of Fresh made Austrian Lady Jam, Tomato Jam, Blackberry Preserves, Cherry Preserves, and Brandied Cherries. We have had a busy week! Judy and Shelby have been making Green Tomato Jam, Peach Preserves, Peach and Pear Preserves with Grand Marnier, Peach Preserves Sweetened w/Honey, Peach Blackberry Preserves, and Tomato Jam. 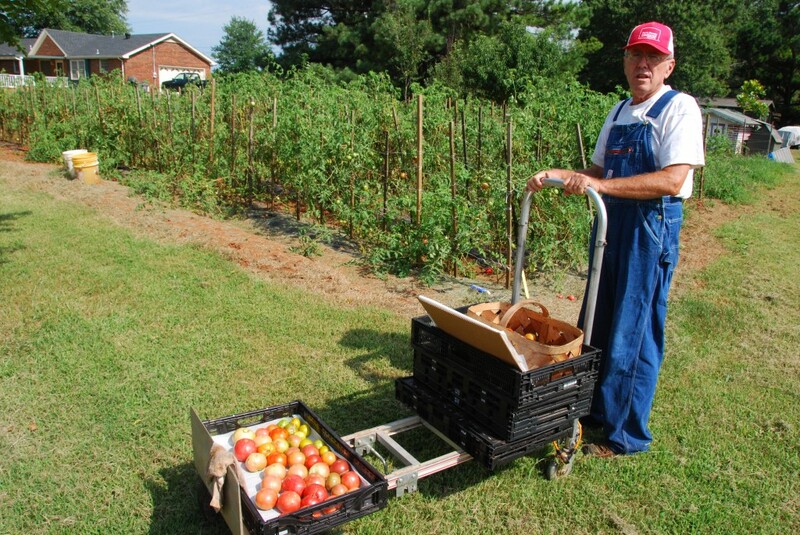 The Ole Man has been busy Harvesting Tomatoes, Onions, and Peppers. I started a batch of Peppers on the Smoker to make our Smoked Pepper Seasoning. We will have Ezekiel Bread, Salt Rising Bread, Sourdough White, Sourdough 100% Whole Wheat, Extra Tangy Sourdough, San Francisco Style Sourdough, Cinnamon Rolls, Scaccisa Bread, Fresh Heirloom Tomato Bread, Cracked Pepper Foccacia, Whip Cream Pound Cake, Banana Bread, Italian Country, Savory Cheese Swirls, Cinnamon Swirl Bread, German Oatmeal, Multi Grain, and Pizza Dough. Our Preserve Racks will be full of our new offerings Judy and Shelby made this week. 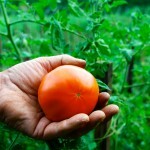 The Garden has given us lots of Heirloom Great White Tomatoes, Bradlies, Bradywines, and Cherokee Purples. 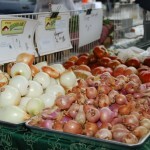 We have a big supply of Candy Onions, Shallots, and Garlic. If you would like us to hold something for you please send an Email. We have had an outstanding week at Jones Mill Farm. We have been busy making Cherry Preserves, Tomato Sauce, Tomato Catsup, Tomato Jam, and Blackberry Preserves. We made a good supply of Brandied Cherries and Cherries with Kirch. Brandied Cherries get better with age and they are always a Big Hit during Christmas Holidays. Judy and Shelby have been very busy in the Kitchen trying to keep up with ripe harvest. Jessi and I have been harvesting and cleaning our Candy and Cipillinni Onions along with our Shallots and Garlic. 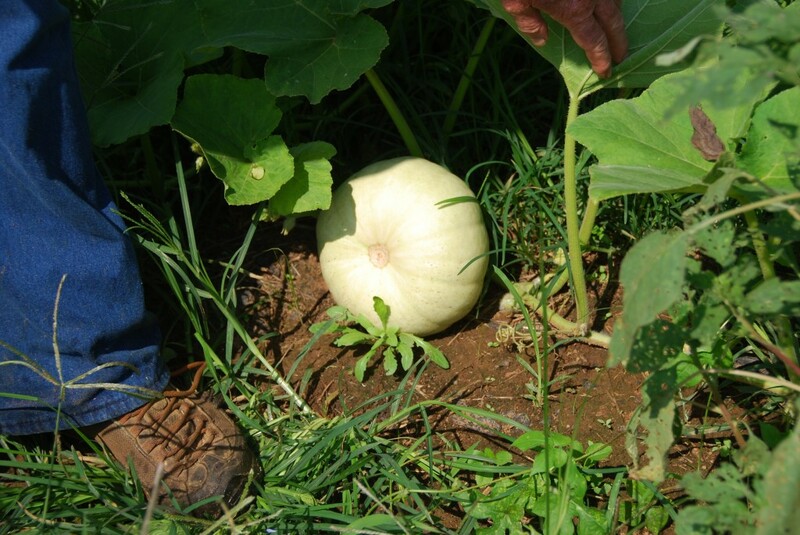 The 2016 growing season has been one of the best in several years. 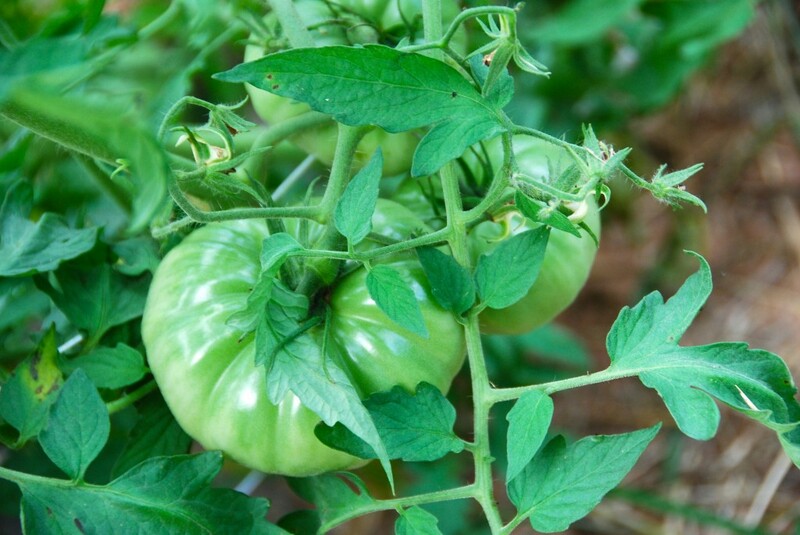 Our Heirloom Tomatoes are coming in like Gang Busters! 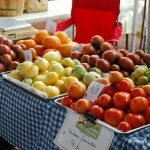 We will have a lot of Great Tasting Heirlooms at the Market Saturday our Great Whites made the debut this week. The Fish Emulsion has made them big an tasty. We will have Salt Rising Bread, Ezekiel Bread, Sourdough 100% Whole Wheat, Sourdough White, Extra Tangy Sourdough, San Francisco Style Sourdough, Cinnamon Rolls, Fresh Tomato Bread, Multi Grain, Cracked Pepper Foccacia, Savory Cheese Swirls, Whip Cream Pound Cake, German Rye, Italian Country, Sourdough Crackers, Gluten Free Corn Bread, Sourdough Sour Cream Coffee Cake, Banana Bread, Italian Chocolate Bread, and Pizza Dough. We will have Fresh Blackberry Pies again this week! The Ole Man picked the last of the Blackberries this morning. It has been a bountiful harvest! God has blessed us this year our health has been good! 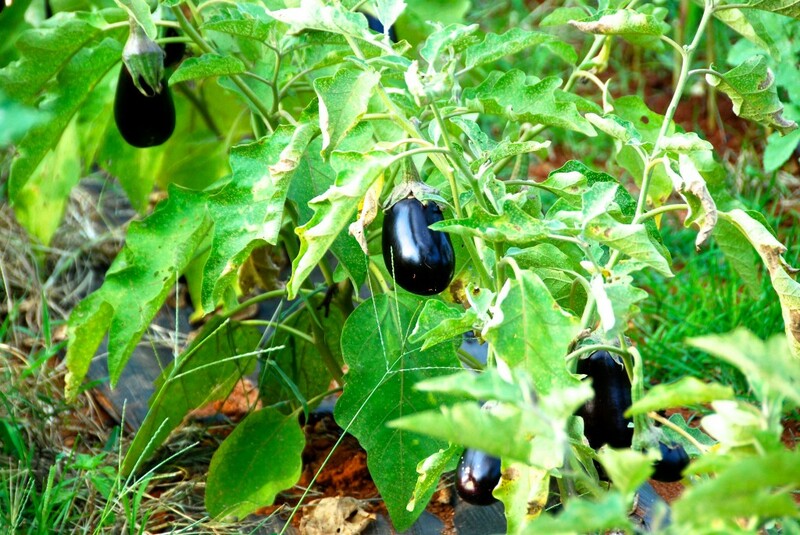 We have many loyal and new customers and the harvest has been fantastic! 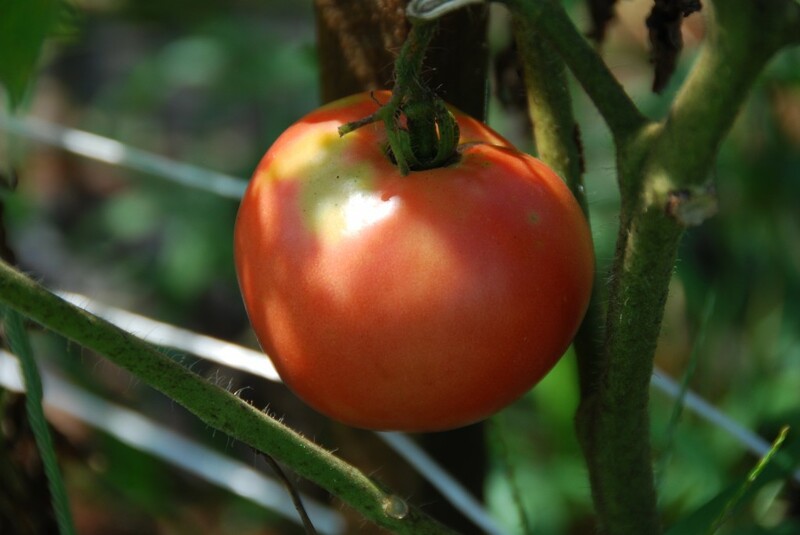 We will have lots of Heirloom Tomatoes, Onions, and Garlic. Our Preserve Racks will be full of many new entries this week! If you would like us to hold something for you please send us an E Mail. 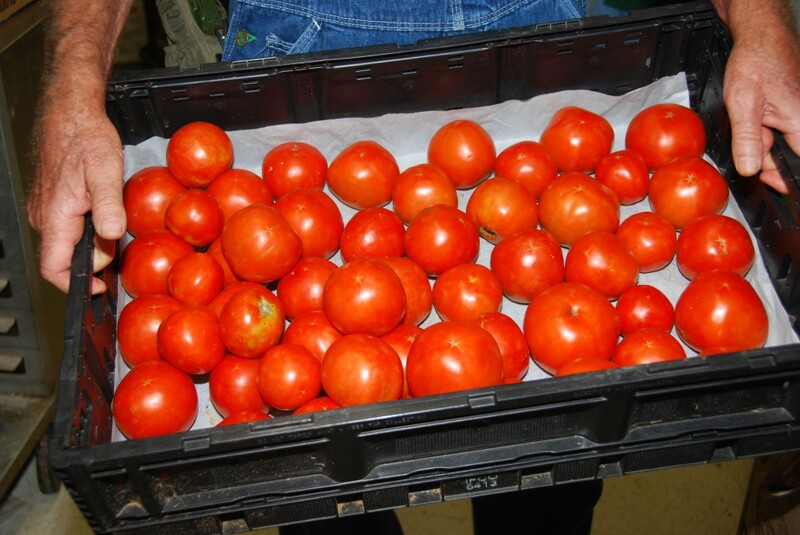 We have been busy Harvesting Tomatoes getting ready for the Tomato Festival. 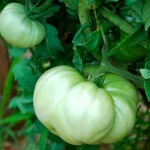 We have lots of nice Heirlooms including Great White Tomato one of last years customer favorites. 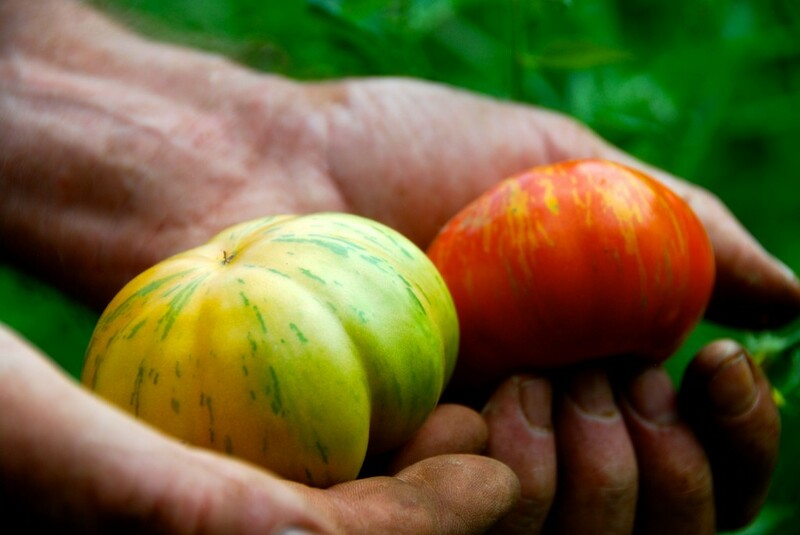 We buy our seeds from Italian Heirloom Seed Company. 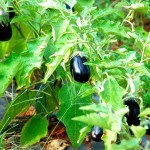 We have had much better results with seeds from Italy where GMO’s are illegal. 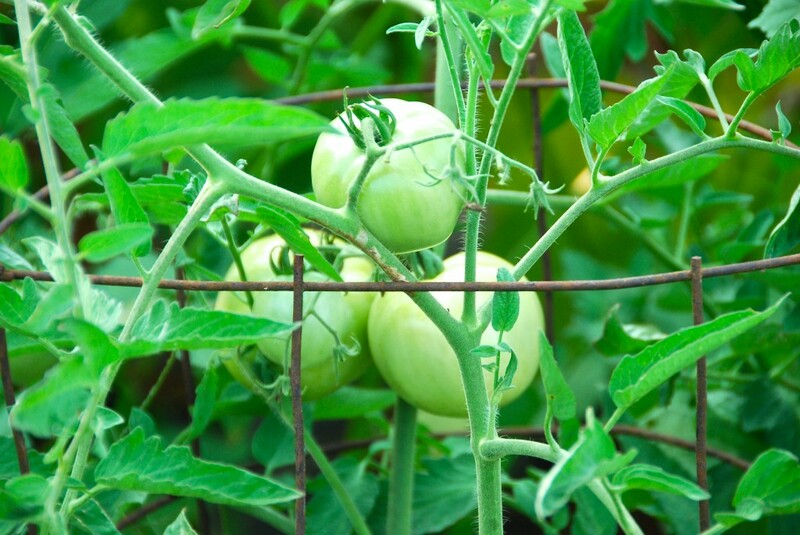 We give our tomatoes a weekly shot of Fish Emulsion through the drip line. 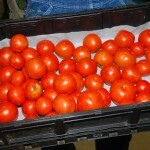 Works like way an IV producing healthy superior tasting tomatoes. 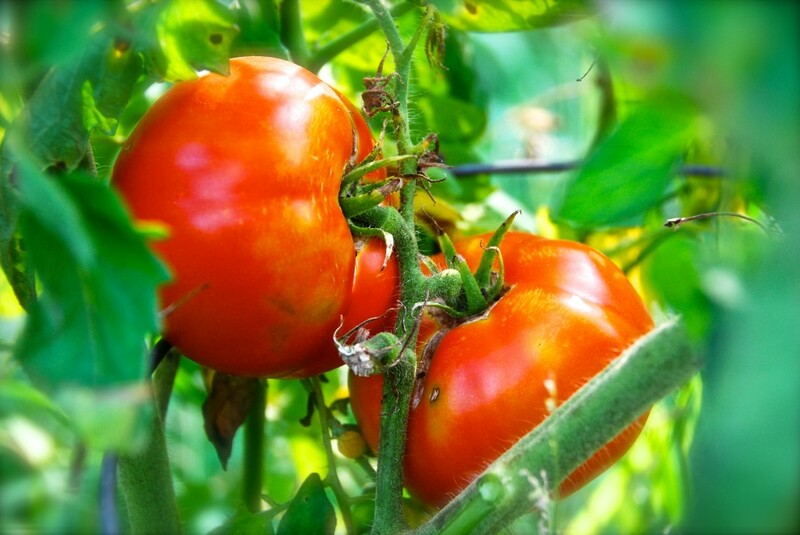 Judy has been busy making Fresh Heirloom Tomato Jam and Tomato Basil Bread which we will feature this week. We will have Salt Rising Bread, Ezekiel Bread, Sourdough White, Sourdough 100% Whole Wheat, San Francisco Style Sourdough, Extra Tangy Sourdough, Multi Grain, German Oatmeal, Italian country, Whip Cream Pound Cake, Pain Polka, Cinnamon Rolls, Cinnamon Raisin Swirl Bread, German Rye, Savory Cheese Swirls, Banana Bread, Pizza Dough, and Tomato Basil Bread. Our Preserves Racks will be full of Fresh Preserves, Jams, and Jellies. We have Brandied Cherries, Blackberry Kirch, Blackberry and Strawberry Preserves made with local honey instead of sugar. 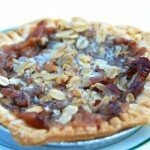 Judy will have Blackberry and Blackberry Rhubarb Pies. 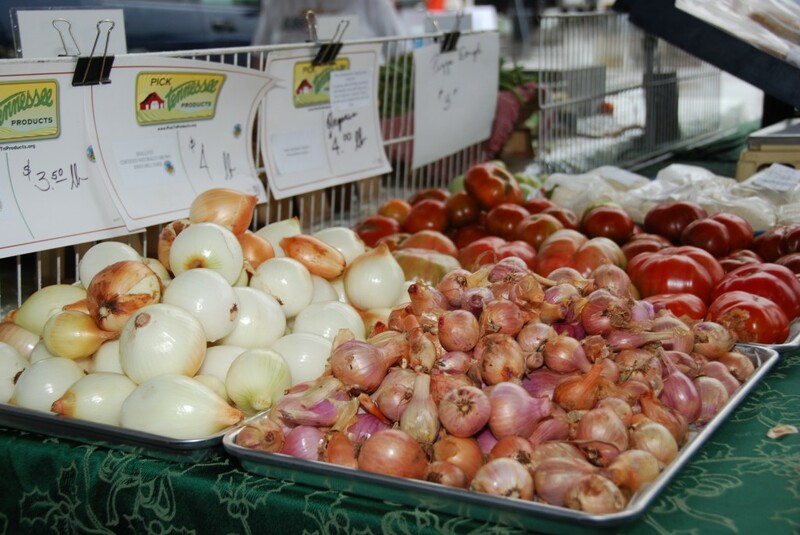 We have lots of Heirloom Tomatoes, Bradley Tomatoes, Fresh Garlic, Candy Onions, and Italian Cipillini Onions. We hope you were safe during the storms. We have had a busy week working the Tomatoes and Blackberries. Judy has been busy making Brandied Cherries, Cherries with Chambrod, Cherries with Kirsch, and Tomato Jam. The Blackberries, Tomatoes, Garlic and Onions have kept the Ole Man busy between rain showers. We will have Salt Rising Bread, Ezekiel Bread, Sourdough White, Sourdough 100% Whole Wheat, San Francisco Style Sourdough, Extra Tangy Sourdough, Multi Grain, German Oatmeal, Pain Polka, Italian Country, Banana Bread, Zucchini Bread, German Rye Bread, Cinnamon Raisin Swirl Bread, Cracked Pepper Foccacia, Whip Cream Pound Cake, Cheese Swirls, and Sourdough Crackers. Our Preserves Rack will be full of Fresh Blackberry, Strawberry, and Cherry Preserves, Brandied Cherries and more. The Garden has given us some nice Heirloom Tomatoes, Bradley Tomatoes, Shallots, Candy Onions, Cippillini Onions, and Fresh Garlic. If you would like us to hold somthing for you please send an E Mail. It has been a very hot day today. 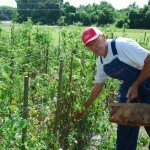 The “Ole Man” spent the day in the tomato patch tying tomatoes that were falling over. Judy made more Blackberry Preserves and prepared dough for baking tomorrow. We will have Ezekiel Bread, Salt Rising Bread, Sourdough White, Sourdough 100% Whole Wheat, Cinnamon rolls, San Francisco Style Sourdough, Extra Tangy Sourdough, German Oatmeal, Pain Polka, Walnut Babka, Cinnamon Swirl Raisin Bread, Cracked Pepper Foccaci with Black Truffle Oil, Italian Chocolate Bread, Banana Bread, Whip Cream Pound Cake, Italian Country, Savory Three Cheese Swirls, and maybe more. Our Preserves Racks will be full of Fresh Preserves made from Berries off our Farm. 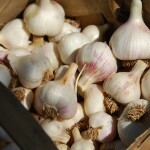 We will have Fresh Garlic and Candy Onions. 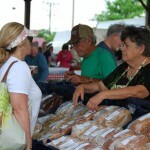 Herban Market will be using Jones Mill Farms Bread in their Sponsor’s Booth to sample their Gourmet Olive Oils. We have had a very busy week at Jones mill Farms. We have harvested all of our Garlic and picked lots of Blackberries. Judy has made lots of Blackberry Preserves, Jams, and Jellies. 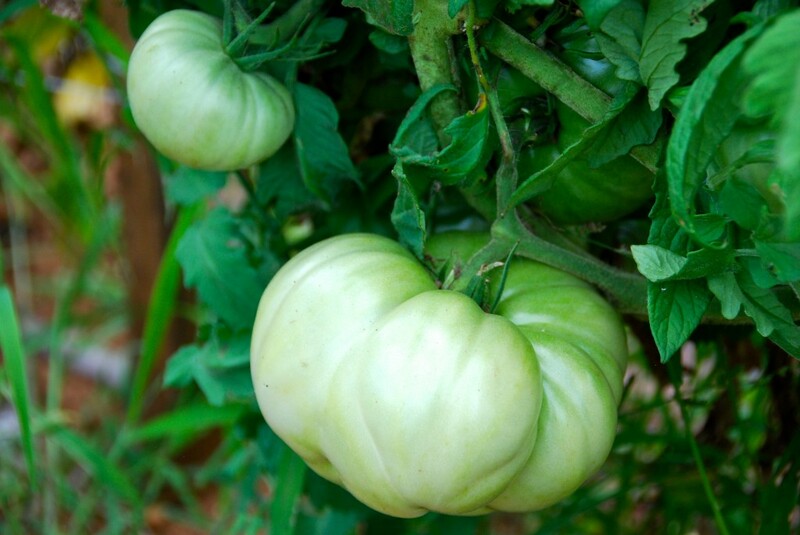 Our Heirloom Tomato Plants are loaded with lots of Green Tomatoes. Our Peppers are full of Hot Hungarian Peppers. Things are happening fast! We will have Ezekiel Bread, Salt Rising Bread, Sourdough White, Sourdough 100% Whole Wheat, Extra Tangy Sourdough, San Francisco Style Sourdough, Multi Grain, Pumpernickel, Pain Polka, Chocolate Babka, Cracked Pepper Foccacia with Black Truffle Oil, Whip Cream Pound Cake, Banana Bread, Italian Country, Sourdough Cinnamon Raisin Bread, Cinnamon Bread, Savory Cheese Spirals, Cinnamon Rolls, Zucchini Bread, Kaiser Hamburger Buns, and Pizza Dough. 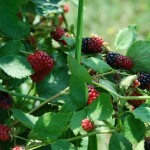 We will have Fresh Blackberry and Blackberry Rhubarb Pies. 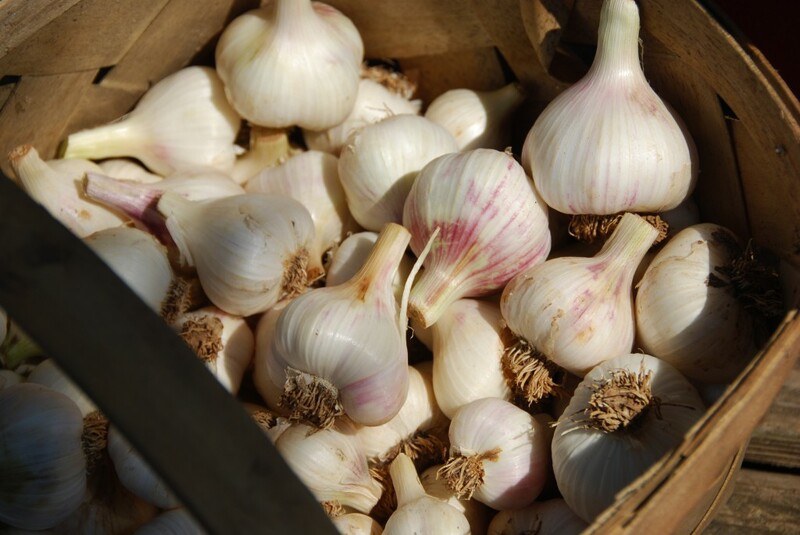 We will have lots of nice Large Garlic, Shallots, Candy Onions, Squash, Cucumbers, Fresh Large Blackberries, and maybe more all Naturally grown. 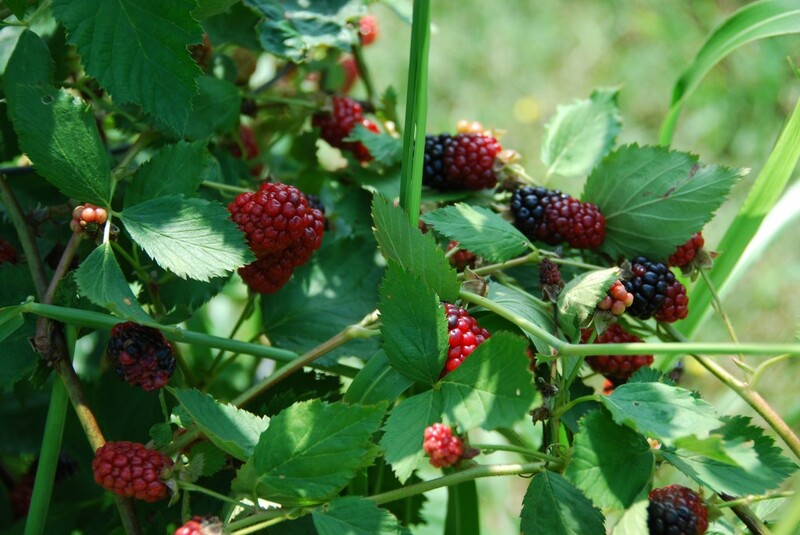 Our Racks will be full of Fresh Preserves made from our Naturally Grown Berries. If you would like us to hold something please send and E Mail. We have had a very busy week at Jones Mill Farms. 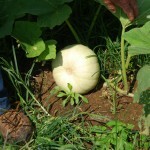 We have been busy setting Pepper Plants, Watermelons, and Cantaloupes. Our Blackberries have kept us busy picking twice a day. Judy and Shelby have been busy in the Kitchen making Preserves. The Ole Man spent the day today Weed Eating between the rows the Garden looks very good. We now have drip lines on everything. We will have Salt Rising Bread, Ezekiel Bread, Sourdough White, Sourdough 100% Whole Wheat, San Francisco Style Sourdough, Extra Tangy Sourdough, Cinnamon Rolls, Pound Cake, Banana Bread, German Oatmeal, Multi Grain, Pain Polka, Babka, Kaiser Hamburger Buns, Italian Country, Sourdough Sour Cream Strussel Coffee Cake, Sourdough Cinnamon Raisin Bread, Savory Three Cheese Rolls, Orange Zest Cookies, and Cracked Pepper Foccacia with Black Truffle Oil. Judy is making Strawberry Rhubarb Pies. Our Preserves Racks will be full of Fresh Strawberry Preserves sweetened with Organic Sugar, Strawberry Preserves Sweetened with Raw Honey, Strawberry/Rhubarb Preserves, Blackberry Preserves sweetened with Organic Sugar. and more. We will have Candy Onions and Garlic. If you would like us to hold something for you please send and E Mail. We have had a real busy week at Jones Mill Farms. We planted another 300 Heirloom Tomatoes. We won’t have any Asparagus this week the Season is about to come to an end. Savana’s horse Ransom broke into the Asparagus patch and polished off the Asparagus that was still producing. Judy has been busy making Strawberry Preserves. Our Rhubarb plants look great we only lost 2 plants out of 70 so far. They have doubled in size and look very promising. We will have Salt Rising Bread, Ezekiel Bread, Sourdough White, Sourdough 100% Whole Wheat, German Oatmeal, San Francisco Style Bread, Babka, Extra Tangy Sourdough, Sour Dough Sour Cream Streusel Coffee Cake, Banana Nut Bread, Cracked Pepper Foccacia, Whip Cream Pound Cake, Italian Wedding Cookies, Pain Polka, Pizza Dough, Multi Grain, Kaiser Hamburger Buns, Orange Zest Cookies, and maybe more. 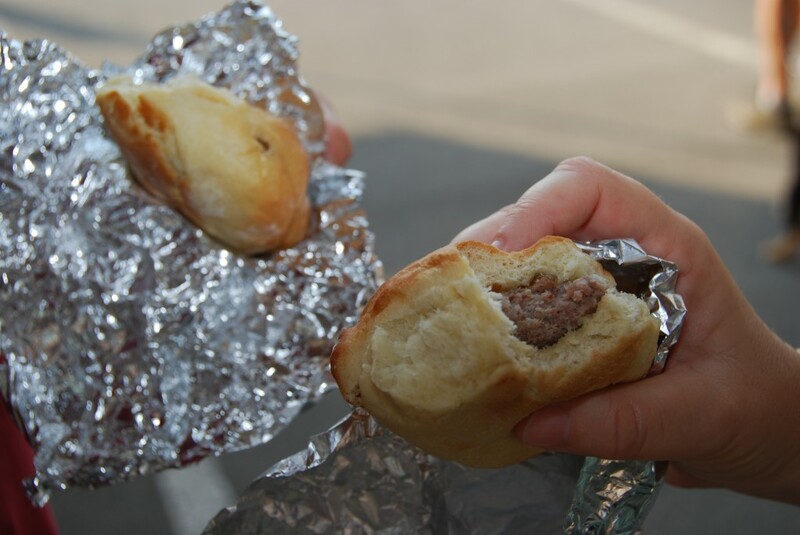 Our Kaiser Hamburger Buns make compliment the Franklin Farmers Market Ground Beef for your Memorial Day Cook Out in Honor of our Fallen Warriors. Judy is making Fresh Strawberry Rhubarb Pies. Sorry we won’t have Asparagus this week Ransom had a nice meal on Fresh Tender Asparagus it takes a lot to fill that boy up. If you would like us hold something for you please send an E Mail. Jones Mill Farm has experienced a very productive week. 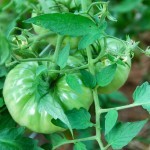 We have planted several hundred more Heirloom Tomatoes, planted more Rhubarb Plants, and Fig Trees. Yesterday got a little exciting. Paula Morton (Queen Bee) came out to help me split a Bee Hive everything was going well until we went into the barn to get more Hive Equipment much to our surprise the Hive Boxes I had stored in the barn were full of bees. I had noticed the bees going in and out of the barn and didn’t think much about it. The Hives were full of Honey and Bees. We were able to get the bees relocated in regular hives. They are still very irritated as a result of intervention. We will have Salt Rising Bread, Ezekiel Bread, Sourdough White, Sourdough 100% Whole Wheat, Pumpernickel, Cinnamon Rolls, San Francisco Style Sourdough, Extra Tangy Sourdough, Multi Grain, Italian Chocolate Bread, German Oatmeal, Ricata Bread, Banana Bread, Sourdough Sour Cream Coffee Cake, Pound Cake, Babka, Cracked Pepper Foccaci, Kaiser Hamburger Buns, Fruit Macaroons, Pain Polka, Italian Country, and Pizza Dough. Our Whip cream Pound Cakes make excellent Strawberry Shortcakes. 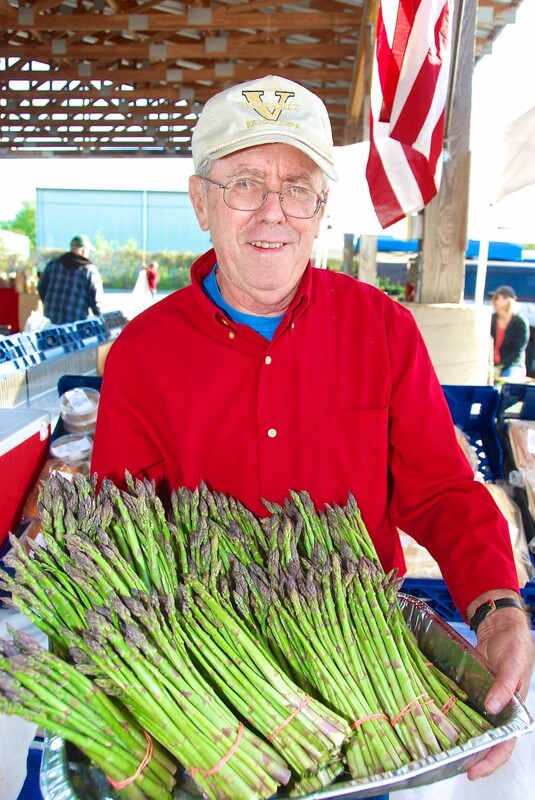 We have limited amount of Asparagus! Our Racks will be full of Fresh Strawberry Preserves. We have Strawberry Rhubarb Preserves. we have Preserves sweetened with Honey or Organic Sugar made from our Natural Grown Berries. We have had a very good week at Jones Mill Farm! 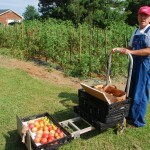 We set more Heirloom Tomatoes, Peppers, Okra, Rhubarb, and picked lots of Strawberries to put in our Preserves. Judy made several cases of Strawberry Preserves. The Blackberries are going to be plentiful this year. They are about 3 weeks away. We will have Salt Rising Bread, Ezekiel Bread, Sourdough White, Sourdough 100% Whole Wheat, Extra Tangy Sourdough, San Francisco Style Sourdough, Italian Country, Multi Grain, German Oatmeal, Cracked Pepper Foccacia with Black Truffle Oil, Kaiser Hamburger Buns, Pain Polka, Babka, Chocolate Bread, Cinnamon Rolls, Cinnamon Raisin Bread, Sourdough Sour Cream Coffee Cake, and Pound Cake. Whip Cream Pound Cake makes excellent Strawberry Shortcake. Our Preserve Rack will be full! We have Fresh Strawberry Preserves sweetened with Organic Sugar, Strawberry Rhubarb Preserves sweetened with Organic Sugar, Strawberry Preserves sweetened with local honey, Blackberry Preserves, and a good selection of Jams. If you would like us to hold something for you please send an E Mail. 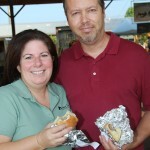 Follow us on Face Book and view our Photos and Farmer Profile on the Franklin Farmers Market Web Site. See’ya at the Market! Saturday is the Strawberry Fest day come out enjoy the Shortcake and kids area. We have had a very productive week at Jones Mill Farms. We have harvested lots of Strawberries and made them into Preserves. We planted 70 Rhubarb Plants harvested a lot of Asparagus. Judy made several Fresh Strawberry Cakes that will make nice Mother’s Day Gifts. 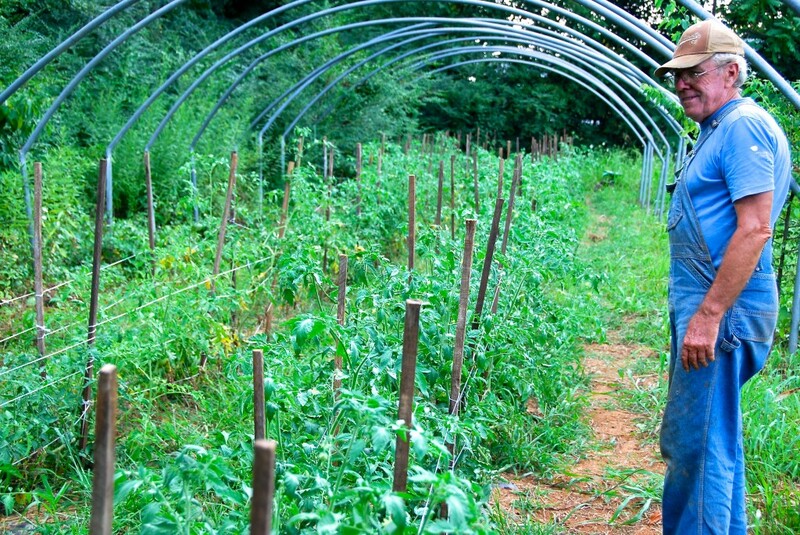 We set out a couple of rows of Heirloom Tomatoes and Cucumbers. We will have Salt Rising Bread, Ezekiel Bread, Sourdough White, Sourdough 100% Whole Wheat, Extra Tangy Sourdough, San Francisco Style Sourdough, Cinnamon Rolls, German Oatmeal, Multi Grain, Babka, Gluten Free Brown Rice Bread, Kaiser Hamburger Buns, Cracked Pepper Foccacia with Black Truffle Oil, Italian Country, Large Sausage & Cheese Quiche, Sourdough Sour Cream Coffee Cake, Banana Bread, and Whip Cream Pound Cake. Judy has made several Fresh Strawberry Cakes for Mothers Day. 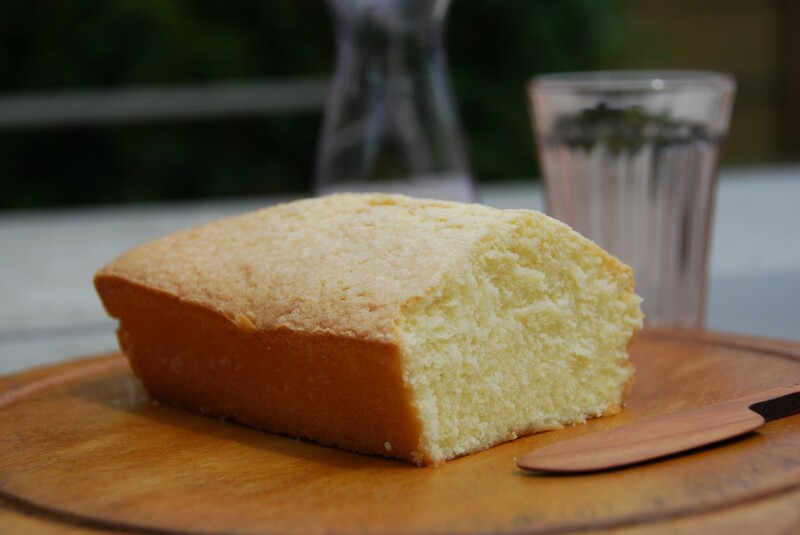 we have lots of Whip Cream Pound Cake that make excellent Strawberry Shortcakes. We have a limited amount of Asparagus. Our racks will be full of Fresh Strawberry Preserves sweetened with honey, Strawberry Rhubarb Preserves, Strawberry Preserves sweetened with Organic Sugar, and Fresh Sauerkraut. 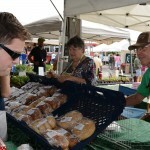 See’ya at the Market new start time 8 AM. This has been a very busy week at Jones Mill Farms. We transplanted 30 Rhubarb Plants, transplanted more cabbage, and tomato plants. The Strawberries and the Asparagus has kept the Ole man busy harvesting. Judy has made several more jars of Strawberry Preserves sweetened with Honey. 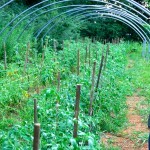 Finished up the drip lines for the Tomato Patch. Weed Eated between the rows and got stung twice. Queen Bee came out and checked the Bee Hives and got the girls all worked up my shots for Bee Stings are working great very little swelling I got stung on my nose and on my lip. 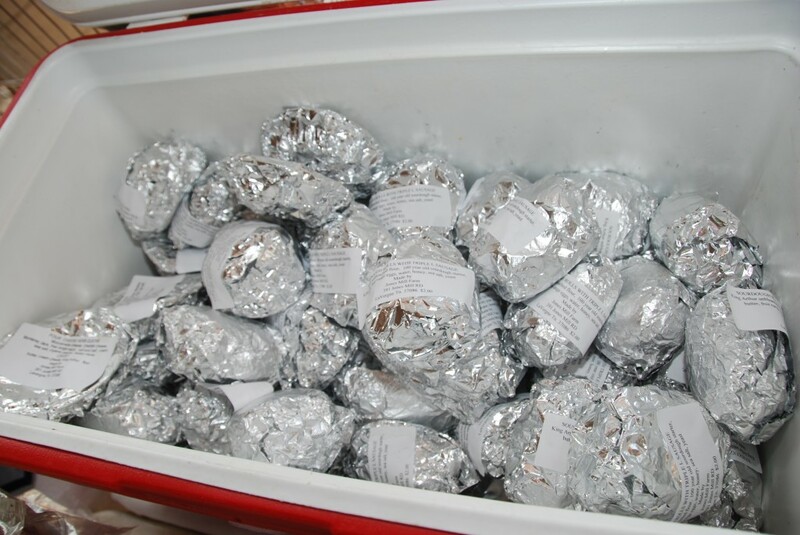 We will have Ezekiel Bread, Salt Rising Bread, Sourdough White, Sourdough 100% Whole Wheat, Cinnamon rools, Extra Tangy Sourdough, Multi Grain, Italian Country, German Oatmeal, Babka, Pain Polka, Banana Nut Bread, Gluten Free Cornbread, Gluten Free Brown Rice Bread, San Francisco Style Sourdough, Sour Cream Sourdough Coffee Cake, Italian Wedding Cookies, and Pound Cake. Pound Cake makes excellent Strawberry Shortcake. Our racks will be full of Sauerkraut, Fresh Strawberry Preserves, and more. We have a limited amount of Asparagus. If you would like us to hold something for you please send an E Mail. 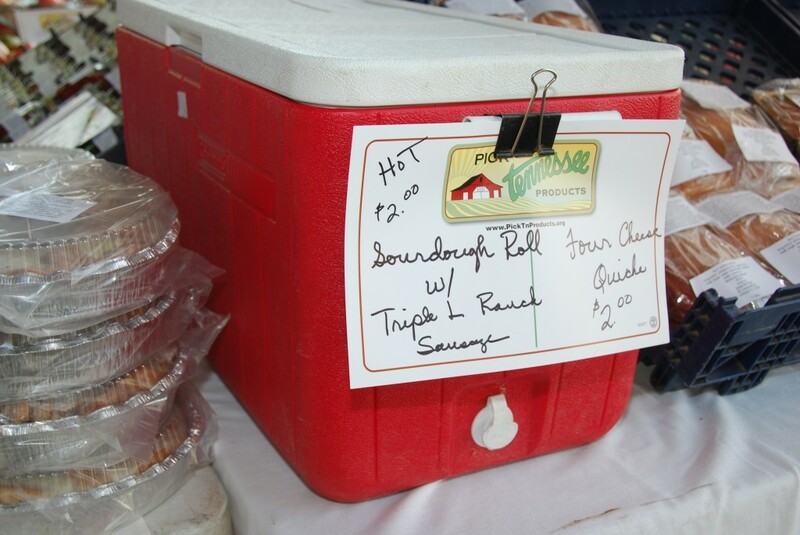 See’ya at the Market Saturday morning. We have had a very productive week at Jones Mill Farms! The Ole Man didn’t tear up anything this week which was very good. We got lots of Cabbage Planted and finished up the Onions and Potatoes. We got all of the drip lines hooked up and working and plastic laid. Judy made Strawberry Preserves with our first picking of Strawberries. 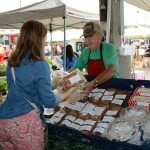 We will have Fresh Strawberry Preserves at the Market along with Carrot Cake Jam. We will have Salt Rising Bread, Ezekiel Bread, Sourdough White, Sourdough 100% Whole Wheat, Cinnamon Rolls, Dinner Rolls, Extra Tangy Sourdough, San Francisco Style Sourdough, Multi Grain, German Oatmeal, Walnut Babka, Pain Polka, Cracked Pepper Foccacia with Black Truffle Oil, Cinnamon Rasin Bread, Italian Country, Banana Nut Bread, Large Quiche, White Pizza Dough, and Whole Wheat Pizza Dough. 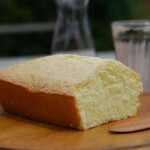 We will have lots of Whip Cream Pound Cake. Great for making Strawberry Shortcake. 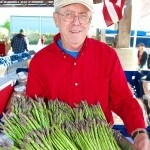 The warm sun this week has been GREAT for the Asparagus we have been harvesting twice a day this week. Our Preserves Racks will be full this week with Fresh Sauerkraut, Fresh Strawberry Preserves, Carrot Cake Jam, and Blackberry Preserves. 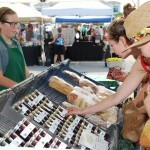 Thank you for supporting the Franklin Farmers Market and Jones Mill Farms & Commercial Kitchen. We have had a busy week at Jones Mill Farms. We weeded the Strawberries, set more Cabbage Plants, set more Cauliflower Plants, and Onions. 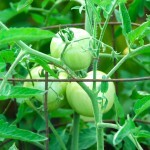 Judy transplanted Tomatoes from trays to 4″ Pots. The Ole Man tried tilling all day to day and kept breaking universal joints on the PTO that drives the tiller. Didn’t get much done but I ordered a new PTO Shaft with a higher horsepower rating. Hope this corrects the problem. The Bees are out doing their job pollinating the Strawberry Blooms. I made it all day without getting stung. I got “Old Blue” going again by replacing the Starter. The ‘Ole Man’ has been a Mechanic and Machinist for the most part this week. 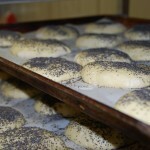 We will have Salt Rising Bread, Ezekiel Bread, Sourdough White, Sourdough 100% Whole Wheat, Italian Country, Extra Tangy Sourdough, San Francisco Style Sourdough, Italian Wedding Cookies, Orange Zest Cookies, Babka, Cinnamon Rolls, Dinner Rolls, Multi Grain, German Oatmeal, Pain Polka, and Pizza Dough. 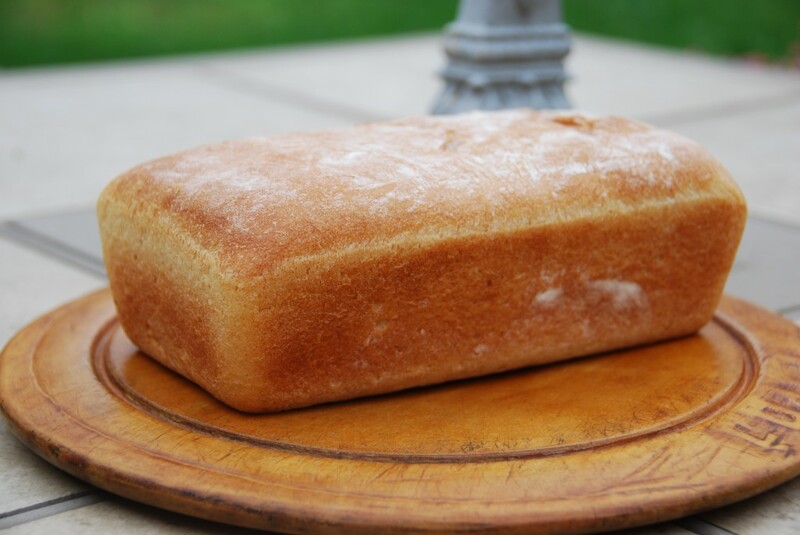 Judy has made Pound Cake for those of you looking for something to use to make Strawberry Short Cakes. 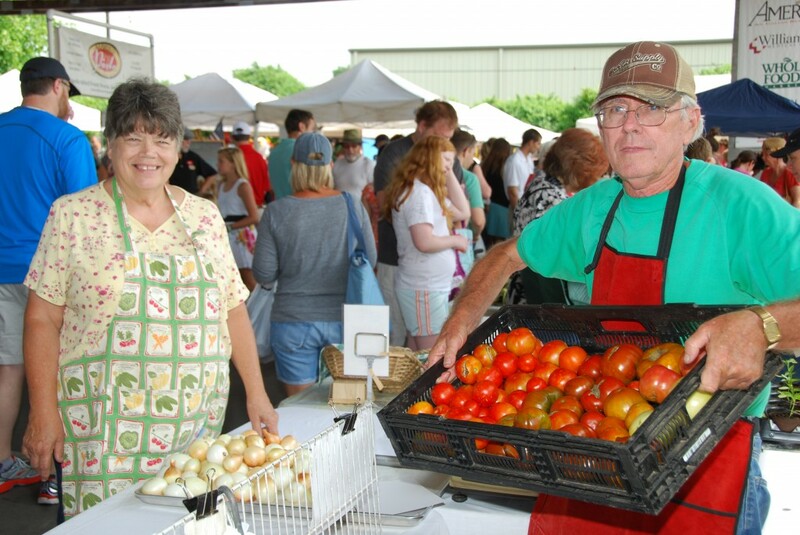 Delvin Farms and maybe other Vendors will have Strawberries again this week. 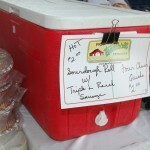 We will have Fresh Sour Kraut and Preserves in our racks this week. We will have a limited amount of Asparagus. We have been very busy this week at Jones mill Farms! We planted Cabbage Plants, Cauliflower, and Onion Plants this week. We picked a handful of ripe Strawberries and enough Asparagus for Breakfast. The Chicken are enjoying us working in the garden they have followed us around looking for bugs and worms. 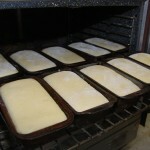 Today was back in the Kitchen preparing bread dough for baking. I spent most of the day milling grain into flour to make breads tomorrow. It was kinda good to get out of the garden today. We got a lot done but we still have a long list things are happening fast. 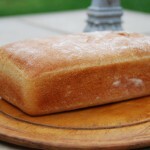 We will have Salt Rising Bread, Ezekiel Bread, Sourdough White, Sourdough 100% Whole Wheat, Pumpernickel, San Francisco Style Sourdough, Extra Tangy, Multi Grain, German Oatmeal, French Banquettes, Cinnamon Rolls, Babka, Gluten Free Brown Rice Bread, Dinner Rolls, Pound Cake, Banana Nut Bread, Pain Polka, and Pizza Dough. 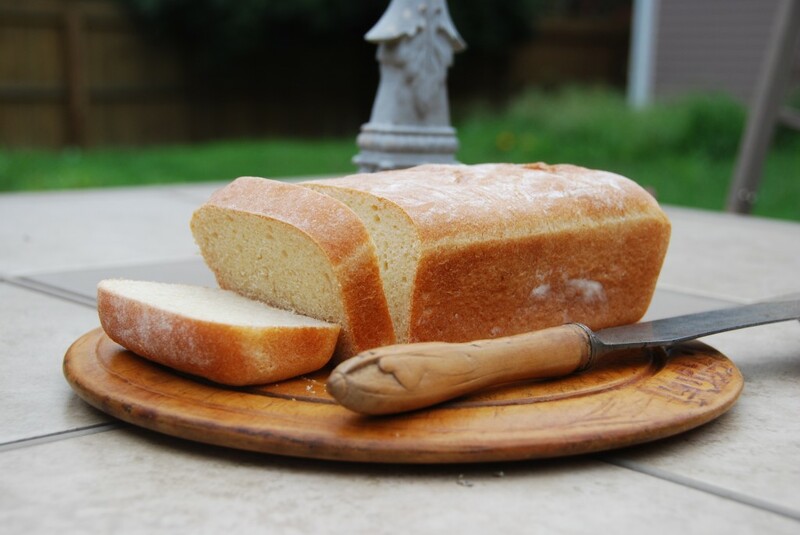 Our Breads are made from Freshly Milled Organic and Chemical Free Grains from Wheat Montana. We use Heavy Cream, Organic Coconut Oil, Italian Olive Oil, Free Range Pastured Eggs, and AAA Sweet Cream Butter in our Baked Goods. Our Preserves Racks will be full again this week. 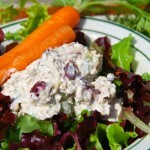 We will have Gourmet Chicken Salad and Pimento Cheese. If you would like us to hold something for you please send an E Mail. Take a look at the Photos on the Web Site. See’ya at the Market! We have had a very productive week at Jones Mill Farms! We got more Cauliflower Plants Planted and lots more Sweet Candy Onions in the ground. We began cutting last years canes out of the Blackberries and weeded the Strawberries and Garlic. Looks like this year is going to be good! We harvested our first handful of Asparagus yesterday and today just enough for breakfast. Today’s rain and warm sun will make it start popping out of the ground. We will have Salt Rising Bread, Ezekiel Bread, Pumpernickel, Sourdough White, Sourdough 100% Whole Wheat, Extra Tangy Sourdough, San Francisco Style Sourdough, Multi Grain, German Oatmeal, Cinnamon Rolls, Italian Country, Whip Cream Pound Cake, Banana Nut Bread, Babka, Blackberry Crumble Bars, Gluten Free Brown Rice Bread, and Gluten Free Cornbread. 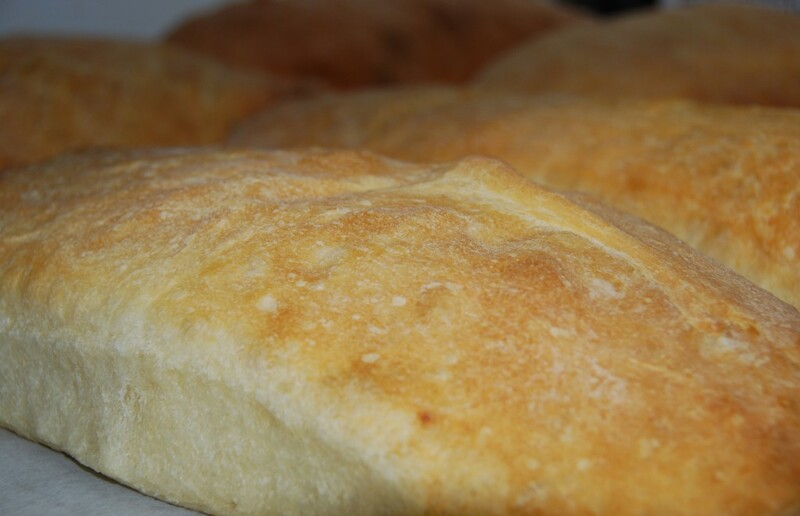 All of our Breads are made from Wheat Montana Organic and Chemical Free Grains. 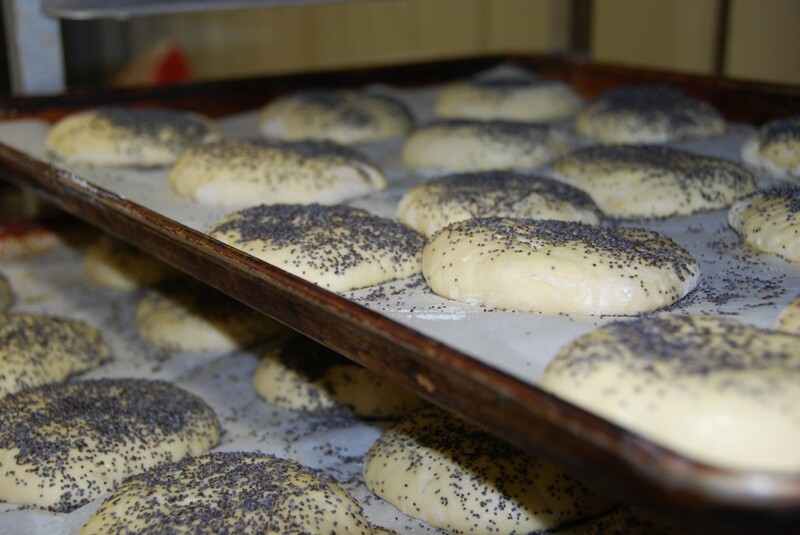 We use two mills to produce our Freshly Milled Flour. The “Ole Man” is now the official Miller at Jones Mill Farms. The old Jones Mill is about 30 feet under the surface of Percy Priest Lake. Our Jams racks will be full of 1869 Apple Jam, Blackberry Preserves, and more. If you would like us to hold something for you please send an E Mail. 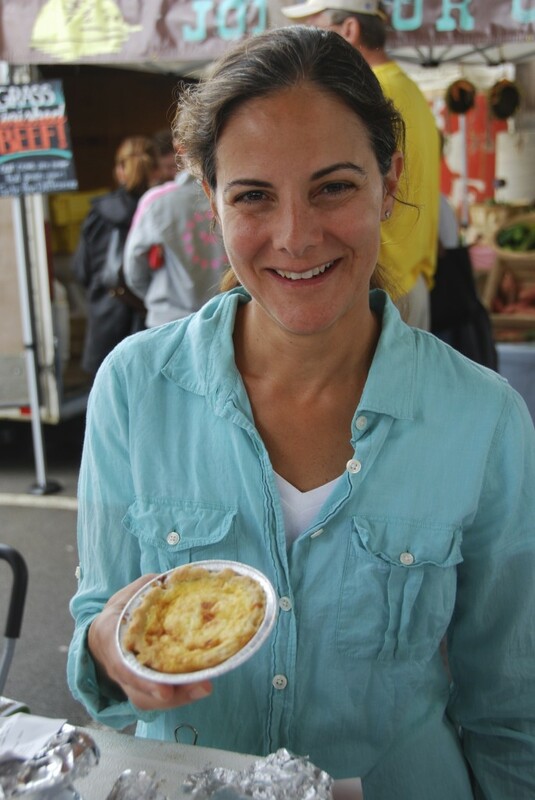 Take a look at our Farmer Profile and Photos on the Market Web Site. 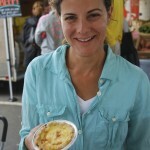 See’ya at the Market new hours beginning this week 9AM til 1PM. We have had a very good week at Jones Mill Farms. We got a lot of plowing done before the rain started. Our Onion Plants came yesterday and we got off to a good start getting them planted. We have been watching the Asparagus Beds for last few days and we found several spears breaking through the surface this morning. Judy has been busy in the Kitchen making Easter Carrot Cakes, Flourless White Chocolate Cakes, Flourless Dark Chocolate Cakes, and Hot Cross Buns. We will have Salt Rising Bread, Ezekiel Bread, Sourdough Croissants, Sourdough White, Sourdough 100% Whole Wheat, Cinnamon Rolls, Multi Grain, Babka, Extra Tangy Sourdough, San Francisco Style Sourdough, Hot Cross Buns, Dinner Rolls, Banana Nut Bread, and more. 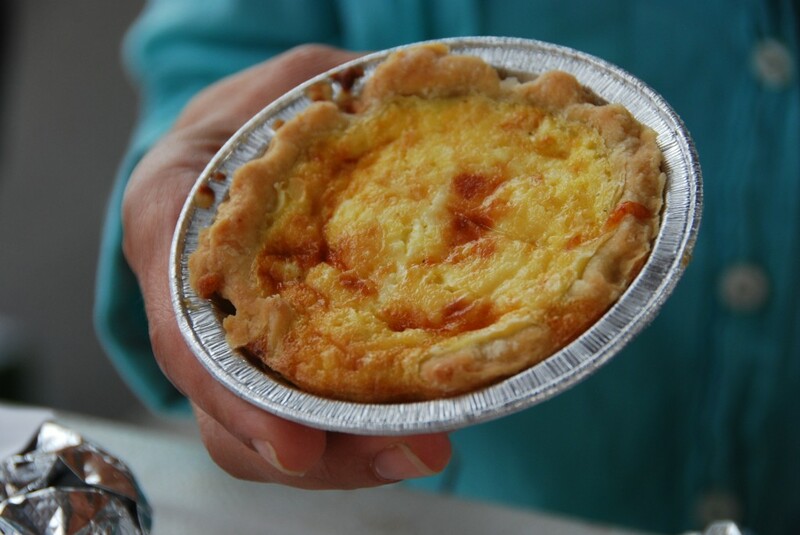 Special Easter Dove Bread, Carrot Cakes, Flourless White Chocolate Cakes, Hot Cross Buns, Flourless Dark Chocolate Cake, Large Breakfast Four Cheese Quiche, and Large Triple L Ranch Sausage Cheese Quiche. 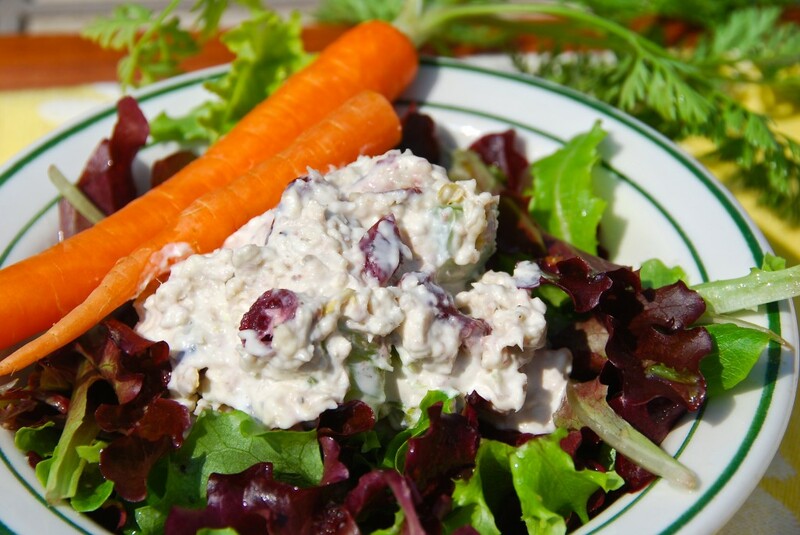 Gourmet Four Cheese Pimento Salad and Gourmet Free Range Chicken Salad. The Preserves Racks will be full of Blackberry Preserves, 1869 Apple Jam, Apple Butter, and more. If you would like us hold something for you please send an E Mail.See’ya at the Market! We have had a very good week at Jones Mill Farm! We got our Shallots planted and the Strawberries weeded. Judy spent two long days in the Greenhouse re-potting Cabbage, Cauliflower, and Tomatoes into 4″ pots. We got the Asparagus Beds Cleaned and ready for the Asparagus to break through and make their appearance. We have two Crocks of Sauerkraut fermenting should be ready in about 6 weeks. We will have Salt Rising Bread, Ezekiel Bread, Sourdough White, German Sourdough Rye, Dark Pumpernickel, German Oatmeal, Multi Grain, Banana Nut Bread, Whip Cream Pound Cake, Cinnamon Rolls, Italian Country, San Francisco Style Sourdough, Extra Tangy Sourdough, Gluten Free Brownies, Gluten Free Blackberry Muffins, Gluten Free Cornbread, Cinnamon Raisin Bread, Dinner Rolls, Sourdough 100% Whole Wheat, and maybe more. 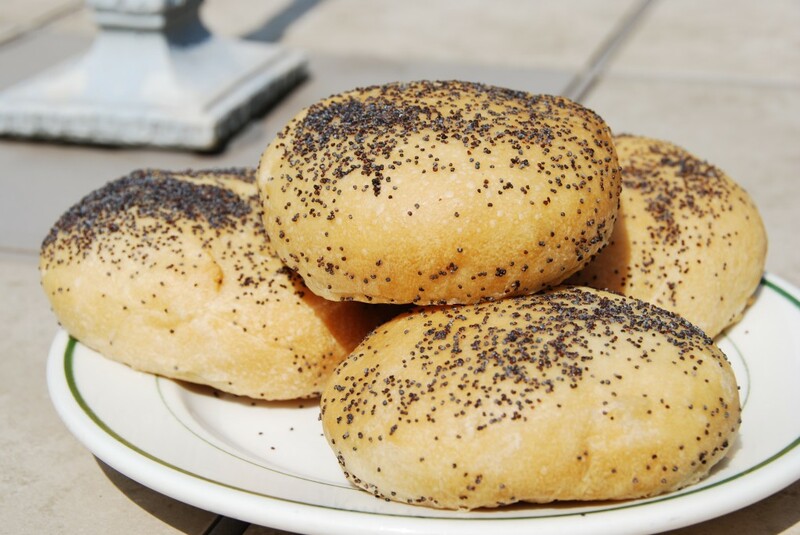 Our Breads are made with Organic and Chemical Free Wheat Montana Grains milled in house on our two Milling Machines on the day the Breads are baked. Our Preserves Rack will be full of Jams, Jellies, and Preserves. If you would like us to hold something for you please send and E Mail. 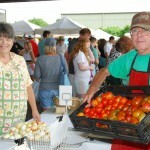 Follow us on Face Book and visit our Farmer Profile on the Franklin Farmers Market Web Site. We have accomplished a lot this week! We finished weeding the Strawberries, worked on the Onion Beds, worked in the Greenhouse, and tried out our second Grain Mill. We will have Irish Soda Bread for St. Patrick’s Day, Ezekiel Bread, Sourdough White, Sourdough 100% Whole Wheat Bread, Extra Tangy Sourdough, Multi Grain, German Oatmeal, Babka, Sourdough Praline Pull Apart Bread, San Francisco Style Sourdough, Brown Rice GLUTEN FREE Bread, Whip Cream Pound Cake, Banana Nut Bread, Pumpernickel Bread, Rye Sourdough Bread, and maybe more. 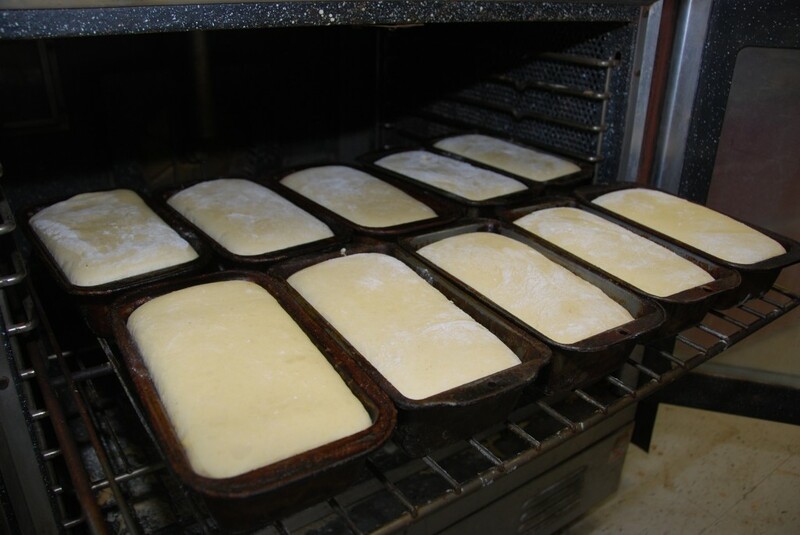 We Mill our Flour from Certified Organic Grain the day we Bake the Bread. The Ole Man is the official Miller. 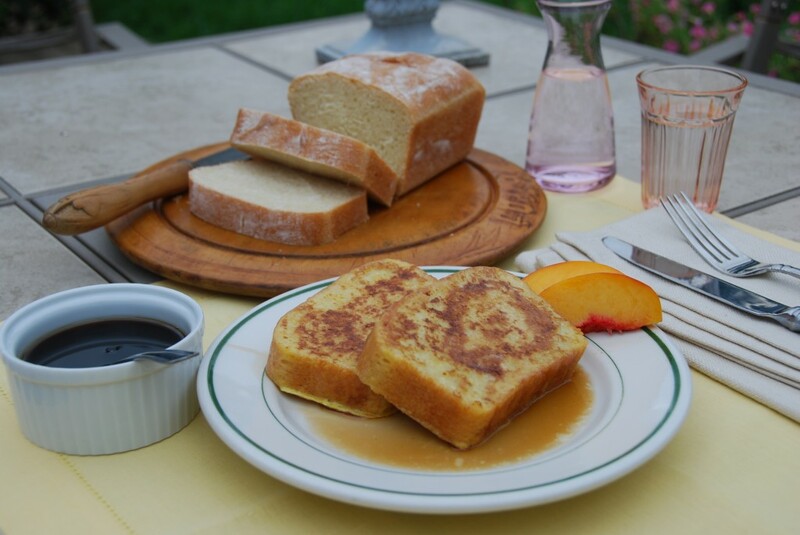 We use Raw Honey and Farm Fresh Eggs in our Breads. Judy is making Sourdough Croissants and Sourdough Colbault Chocolate Croissants. We will have Orange Zest Cookies! The Jam Racks will be full again this week with our Gourmet Preserves, Jams, and Jellies. If you would like us to hold something for you please send an E Mail. 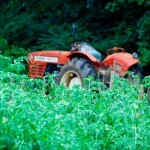 Follow us on Face Book and Visit our Farmer Profile on the Market Web Site. We have had a good week at Jones Mill Farm. 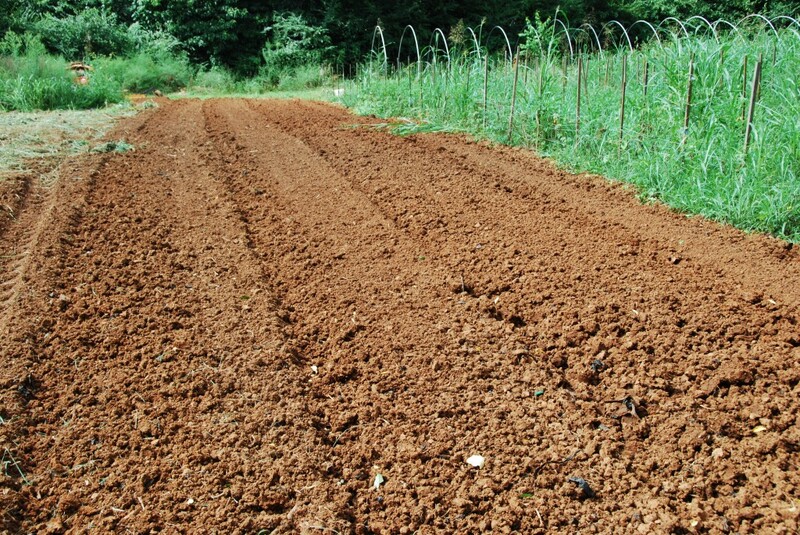 We got most of Strawberries weeded this week and some bed preparation done. Spring is not far away the Bees are flying on the warm days. 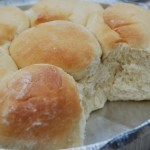 We will have Salt Rising Bread, Ezekiel Bread, Sourdough White, Sourdough 100% Whole Wheat Bread, Dinner Rolls, Extra Tangy, San Francisco Style Sourdough, Multi Grain, Cinnamon Rolls, Babaka, German Oatmeal, New York Style Bagels, Italian Country, Banana Nut Bread, Gluten Free Brown Rice Bread, and maybe more. 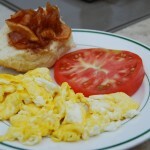 We will have Gourmet Pimento Cheese. 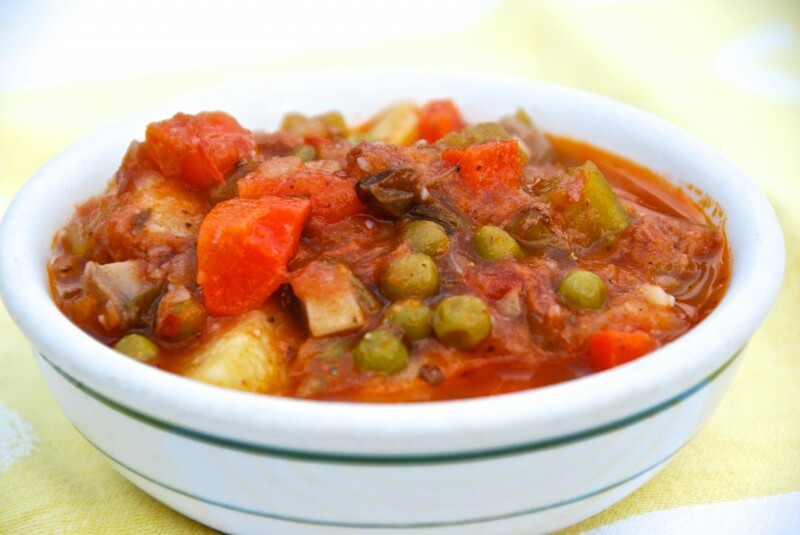 The Soups of the Week are German Potato Cheese and Steak Diane Mushroom Stew. Both are very rich and tasty. The Ole Man finished off a Bowl of each tonight with buttered and toasted Italian Country Bread. 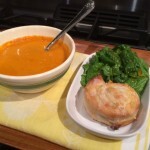 A great cold damp day meal! 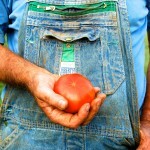 Follow Jones Mill Farms on Face Book and take a look at our Farmer Profile on the Franklin Farmers Market Web Site. 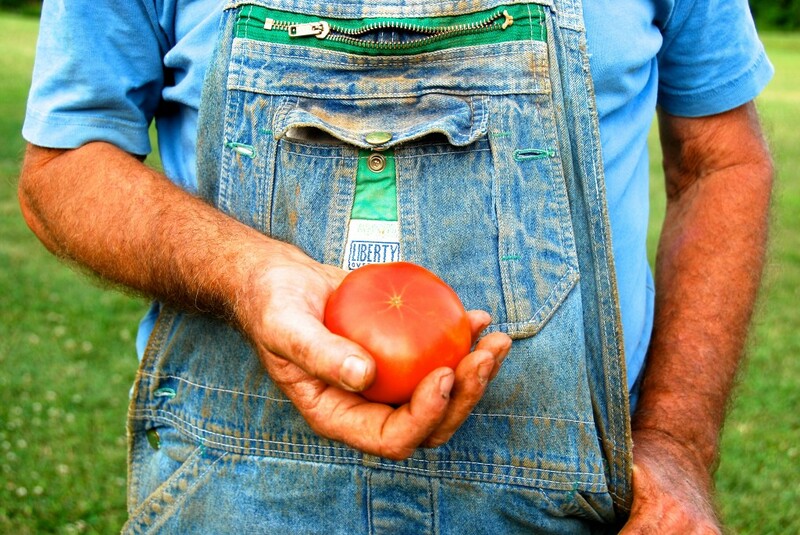 J.R. knows how to pick tomatoes. 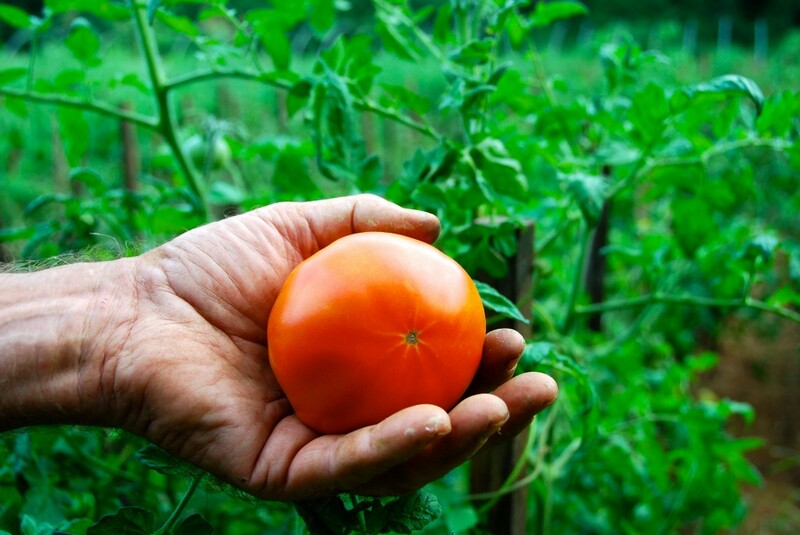 He treats his heirloom tomatoes like new born babies. 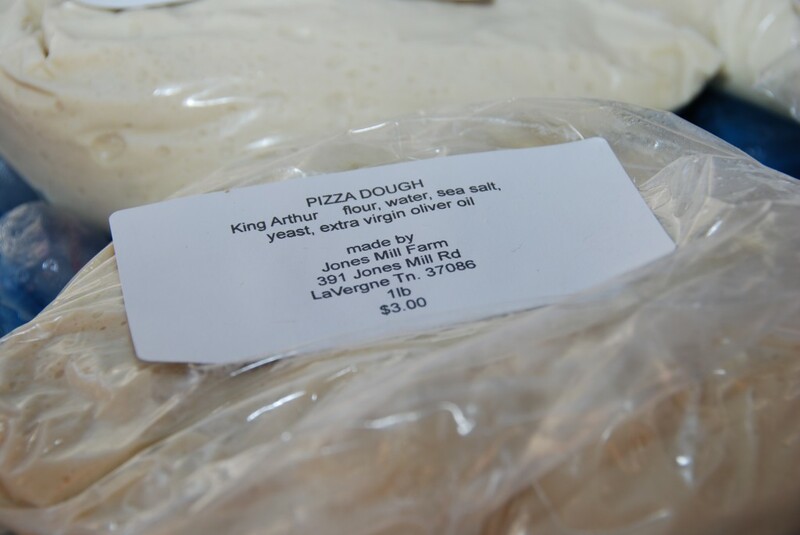 Judy's freshly made pizza dough ready for your oven! 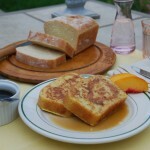 Judy's Salt Rising Bread makes the best French Toast! It's consistency is perfect for cooking. 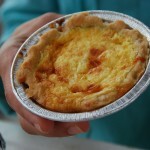 These Mini Quiche from Judy's kitchen taste better than they look! How can that be? 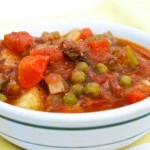 Judy's Beef Stew has plenty of everything! And we promise, it tastes better than it looks! A couple weeks ago we purchased zucchini bread and a loaf of sourdough made with the 100 year old starter. 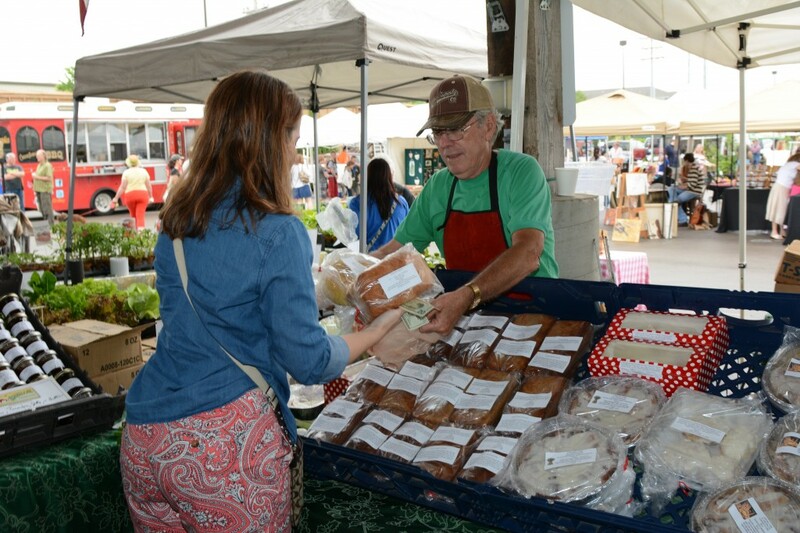 We were so impressed with them that we have changed CSA pickups to the Franklin Farmers Market just to make it easier to try more of their wholesome goodies! 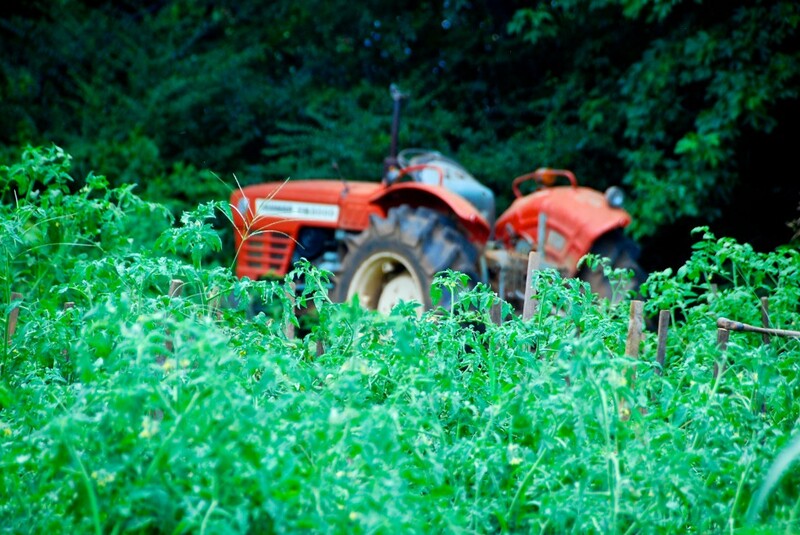 Jones Mill Farm uses the best quality local ingredients in their kitchen and you can really taste the difference. 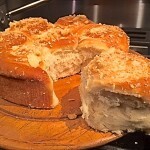 Excellent bread and the Cinnamon Cranberry Swirl Bread is yummy! 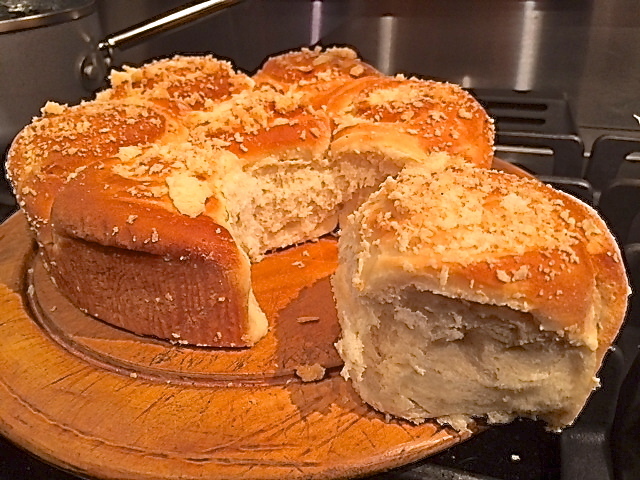 Thanks for a beautiful Greek bread that I used for my table centerpiece Easter Sunday. And it taste delicious with egg salad today. 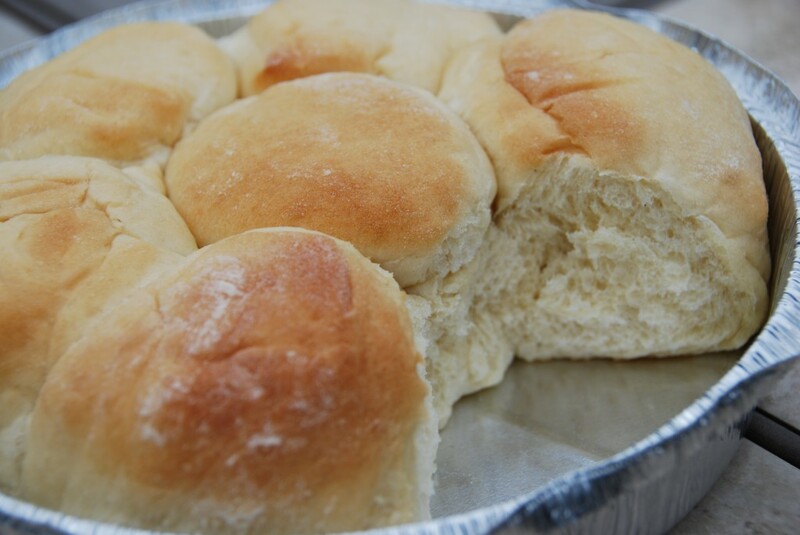 Your yeast rolls were a big hit with all the family. Judy, your breads are amazing. I may never bake again. And we all enjoyed the Kringle. 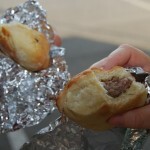 It was not as sweet as the ones from Racine and much tastier. Thank you, thank you!